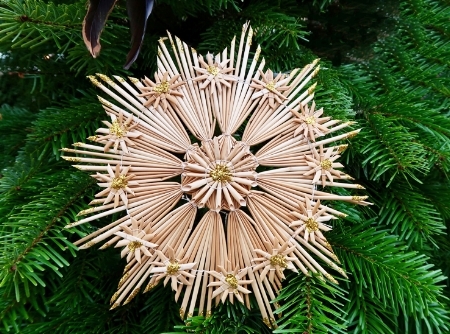 There’s still time to deck the halls, hang up the mistletoe and spruce up your home in time for Christmas. 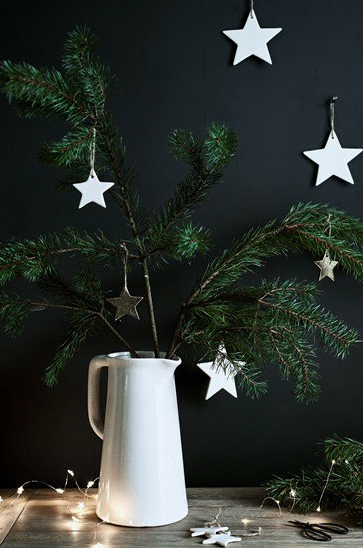 We went in search of some very stylish decorations to do just that. Here is our roundup of some of the best on offer which ramp up the glamour but without too much glitter. 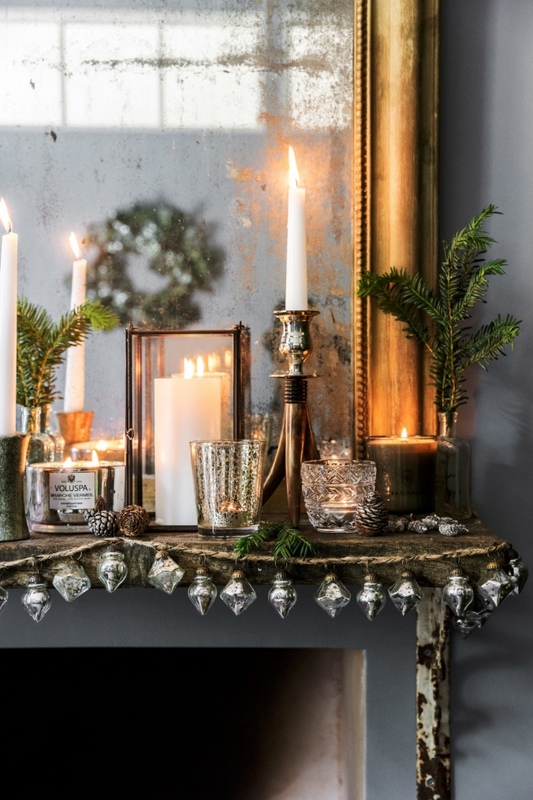 Neptune, whose furniture we featured in our previous Burne-Jones blog, do a gorgeous range of Christmas decorations which are available from their various stores and on-line… and also provide some brilliant festive inspo ideas to borrow. 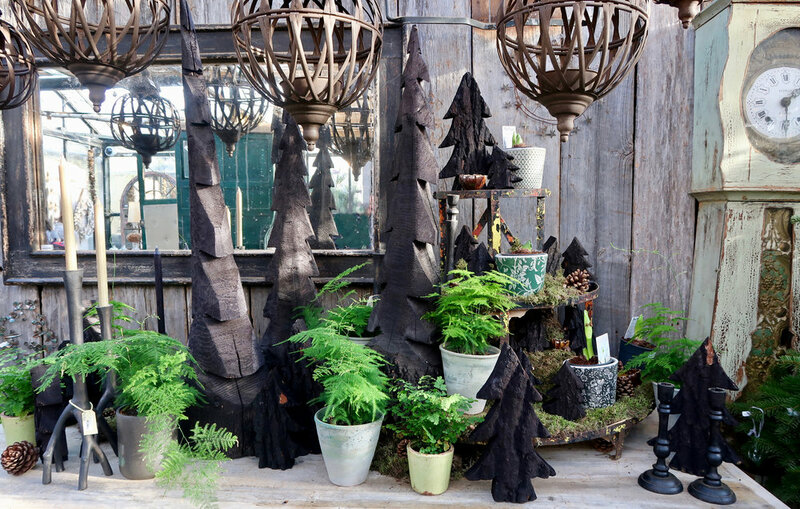 Petersham Nurseries in Richmond is another favourite and as always, have some great decorations and ideas for getting into the festive spirit. 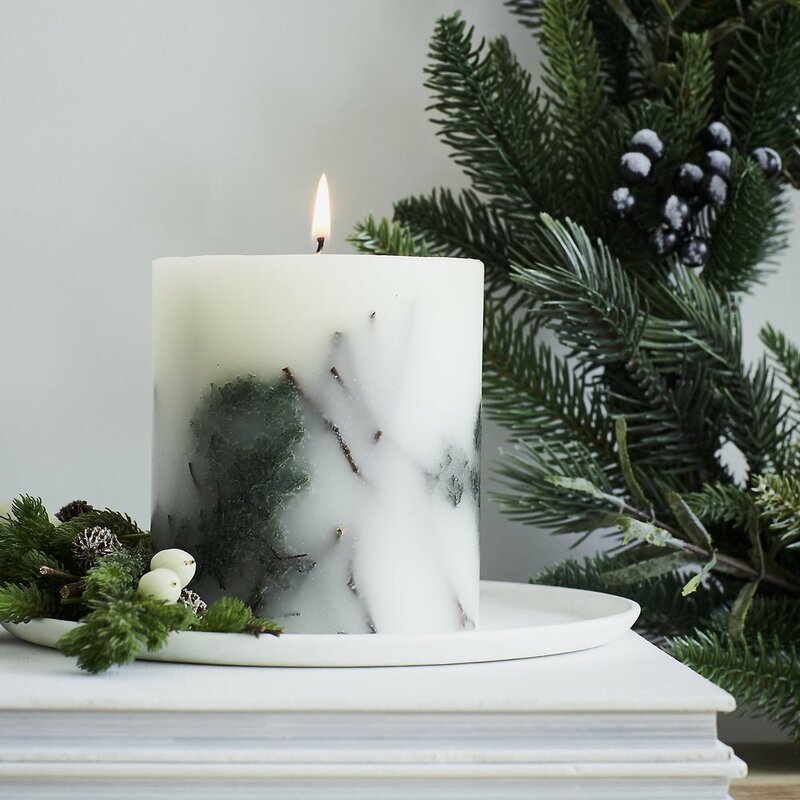 At Devas Designs, along with the sparkle and traditional colours of Christmas we also love to indulge in the all white themes conjured up by The White Company. 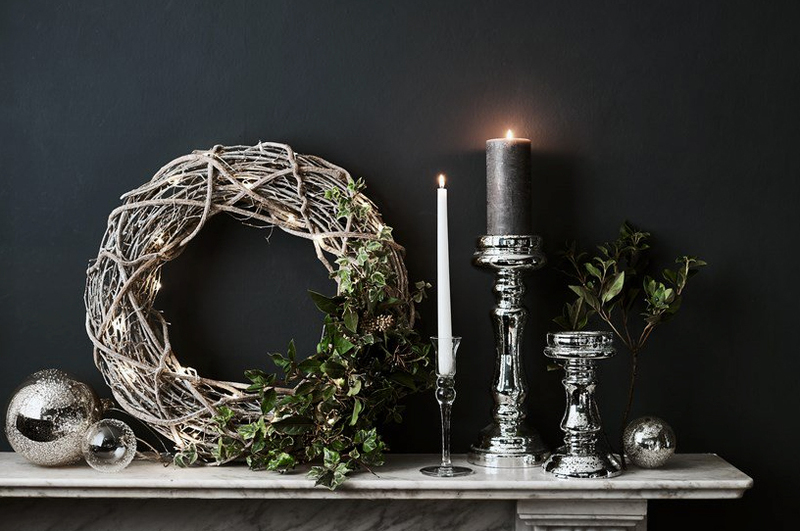 A very stylish Christmas from Devas Designs. Now that summer's really here we’re heading outdoors... London's art galleries and museum spaces such as Somerset House, The Royal Academy and Tate are taking advantage of the summer months and providing outdoor activities including theatre, film screenings, food vans and urban beaches. 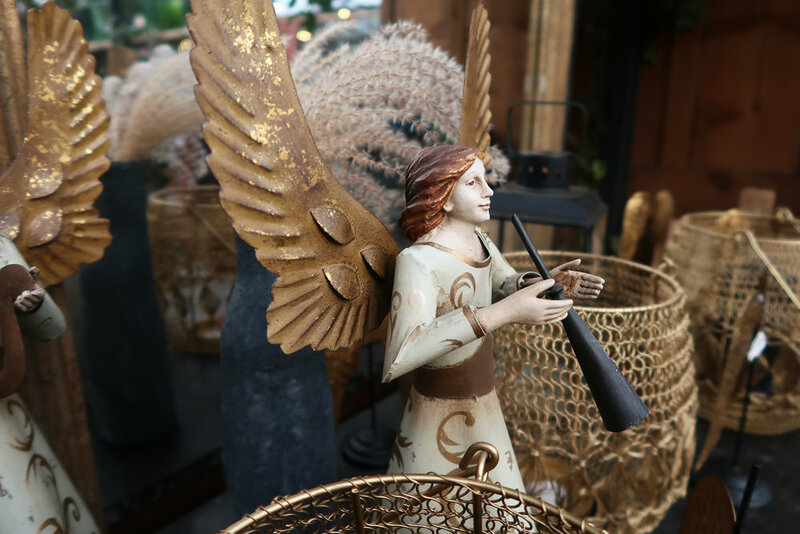 For those lazy days and evenings when you just want to relax at home we had a look at a few ideas for transforming our personal outdoor space into a cool and calming urban retreat. 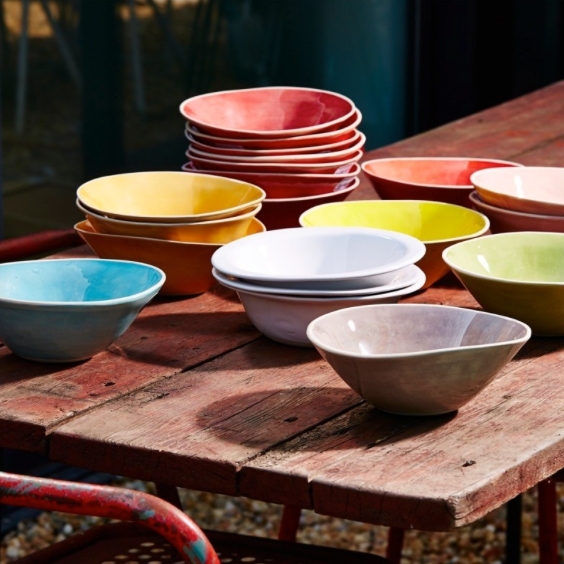 We love Lombock’s Sambala Collection... perfect for outdoors but just as beautiful inside if you want to create a garden atmosphere or use in a conservatory. The range is part of the Trees4Trees scheme - with every item purchased from the Sambala collection, a contribution will be made towards planting new trees in Indonesia. Each piece is handcrafted from reclaimed Indonesian teak which is then distressed by hand, enhancing the natural characteristics of the wood. With London’s microclimate, tropical plants can thrive, and just a few grouped together, either in borders or containers around a carefully curated seating or dining area can create the illusion of a tropical retreat. Urban Tropics based in London’s Highgate, show us how to transform even the smallest patio or balcony into a green haven, including advice on bursts of tropical flowers and plants which can thrive in the city. We were delighted to discover East London Parasol Company - each of their parasols is traditionally handcrafted. 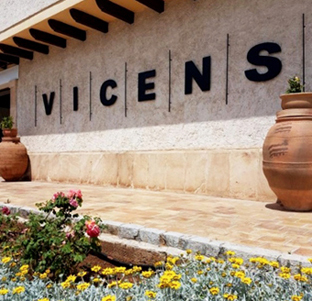 The company maintains an ethos of producing ethical artisanal parasols and textiles. 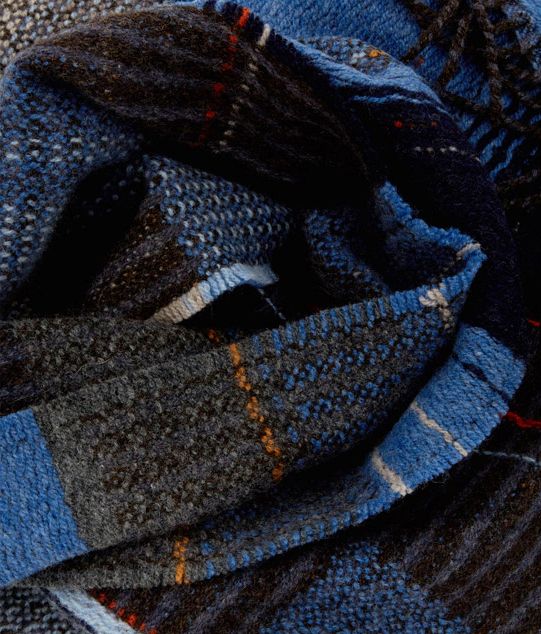 Many of the processes can't be mechanised, and if they were, the beauty and personality of the fabrics would be lost. 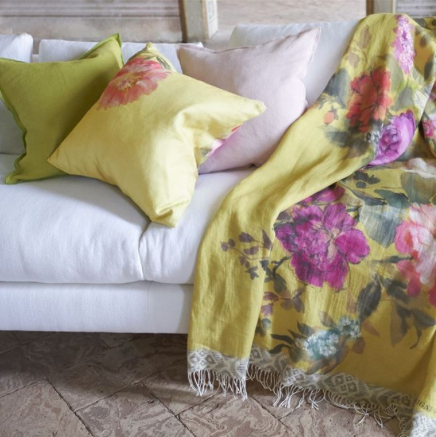 Their textiles and cushions range can transform the most English garden into a tropical retreat. Opium in Chelsea’s Worlds End is a treasure trove of Indian artifacts including antiques, furniture, mirrors and screens alongside contemporary crafts from India including these hand-made bamboo screens which could be used to create a shaded and secluded area, either on a balcony, patio or greenhouse. Use an antique mirror to reflect your greenery and add a sense of space and vista to an area of your garden, or place a carved screen against a wall for an instant transformation. 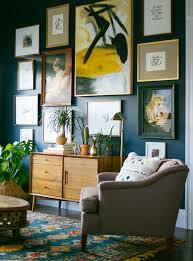 Vintage throws on a chair or sofa, and the addition of candles and small artifacts completes the effect. Even if you don’t have an outdoor space you can still create a cool green oasis indoors. The benefits of indoor greenery go further than the purely aesthetic. Plants are known to provide cleaner air by removing pollutants and can act as a mood enhancer. Patch will source and hand-deliver indoor plants suited to your environment and provide handy tips for easy plant maintenance. For more garden inspo take a look at our previous Frida Kahlo blog. Omega Workshops opened in July 1913 - the artists involved were members of The Bloomsbury Group... Vanessa Bell, Roger Fry and Duncan Grant. 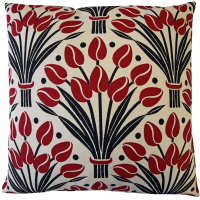 They were inspired by the work of Arts & Crafts pioneer William Morris, and like Morris, wanted to combine art with design, reject the new mass production and remove the separation between fine art and craft. Following in the Arts & Crafts tradition they felt that a well-crafted chair or a beautiful textile design was every bit as important as a fine painting, their work also grew out of a love of nature and a desire for their designs to sit alongside their paintings. 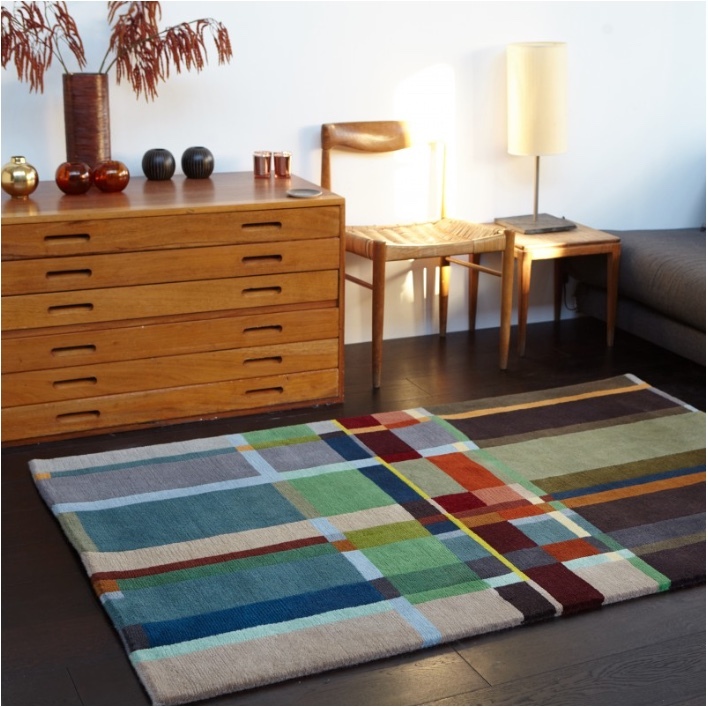 During its short lived existence Omega Workshops produced a range of objects for the home including ceramics, furniture, rugs, glassware, and even clothing - all incorporating bold colours, geometric forms and abstract patterns. Sadly it’s closure was due to what Fry described as ‘public indifference'. 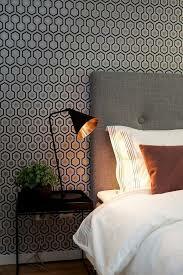 It’s hard to believe when today we place so much importance on our home and many of us, interior designers and home-makers alike enjoy the creative challenge of curating a personal environment. Monk’s House, East Sussex, the home of Virginia Wolfe, sister of Vanessa Bell, decorated by Vanessa Bell and Duncan Grant. 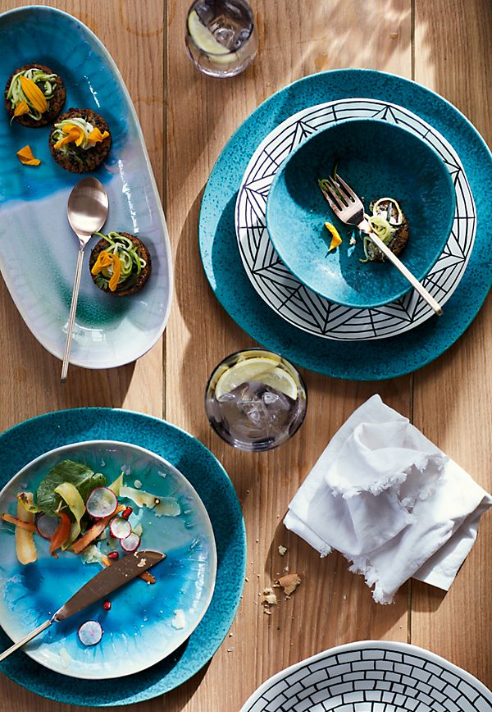 Omega Workshops radical approach to home interiors and design went on to have a far-reaching effect on decoration as seen in these homewares from Anthropologie. 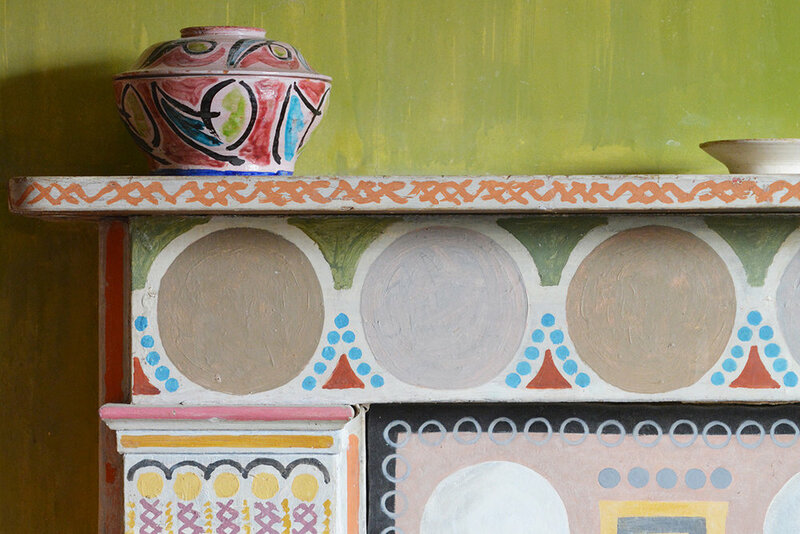 Vanessa Bell and Duncan Grant eventually set up home at Charleston Farmhouse near Lewes in East Sussex... in May a festival takes place in celebration of their ethos and working partnership. 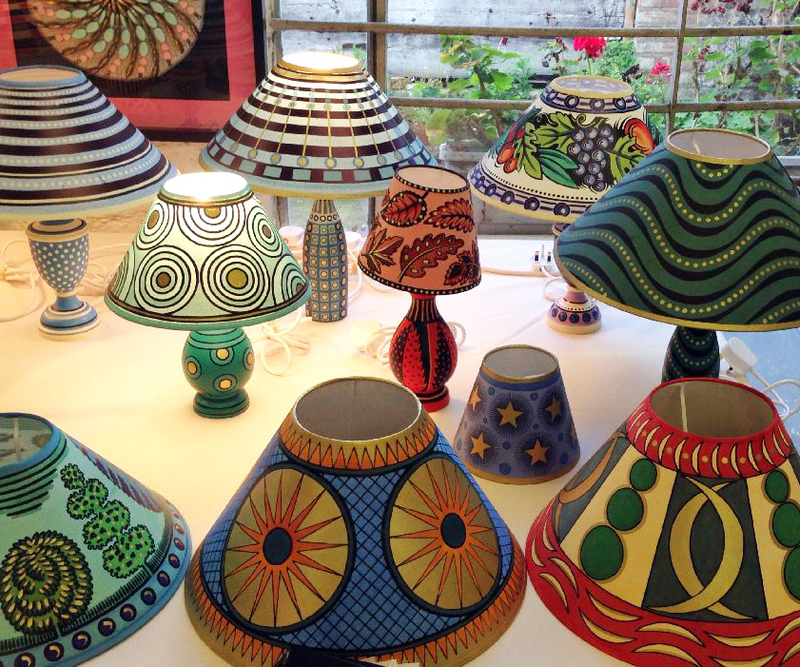 Cressida Bell is the granddaughter of Vanessa, and while her work reflects the influence of her famous heritage, she has created her own take and unique style across a range of gorgeous decorative items... from textiles to ceramics and lamps to bespoke cakes! 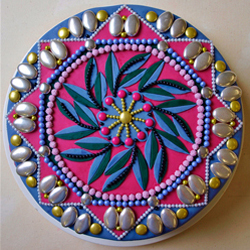 Samples of her beautiful work are shown below - you can also visit her workshop in Hackney. 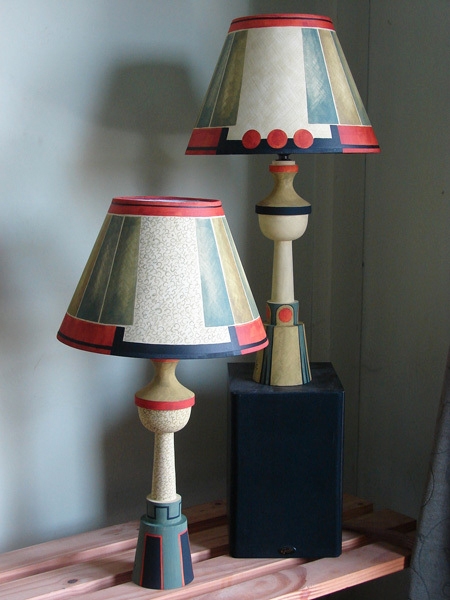 Madeleine Bradbury is a Brighton-based painter who creates hand-painted lamps, furniture and accessories inspired by the work of Omega Workshops. 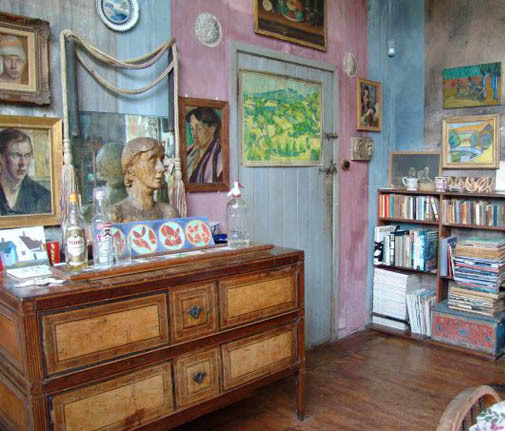 We have selected a number of items from her range with more than a hint of The Bloomsbury Group. 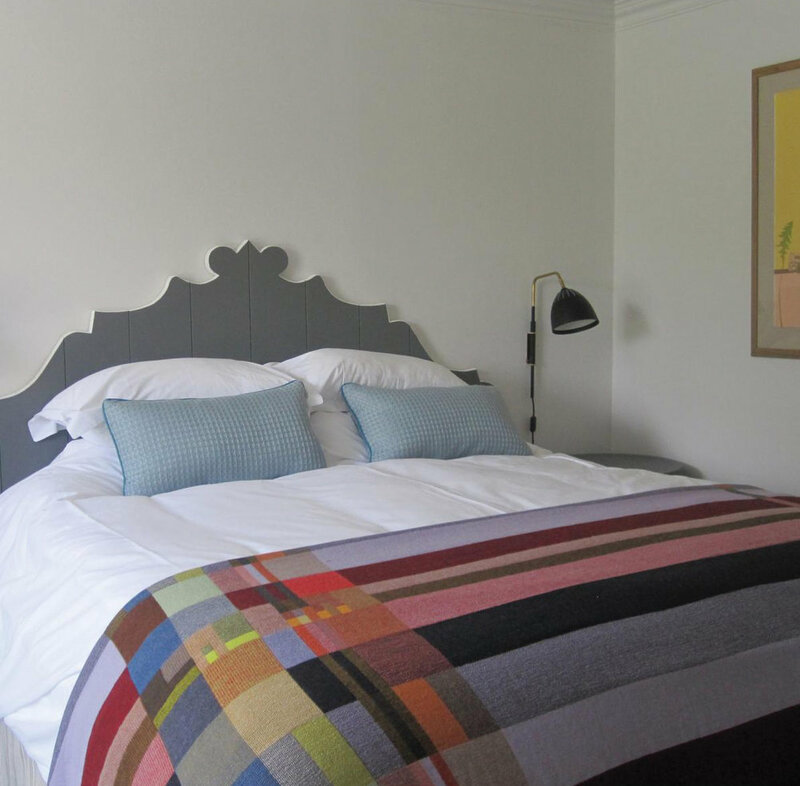 For a romantic bedroom inspired by the soft pink hues in the guest bedroom at Charleston (below left) we looked to Cox & Cox for their washed linen bedding and soft velvet chair. 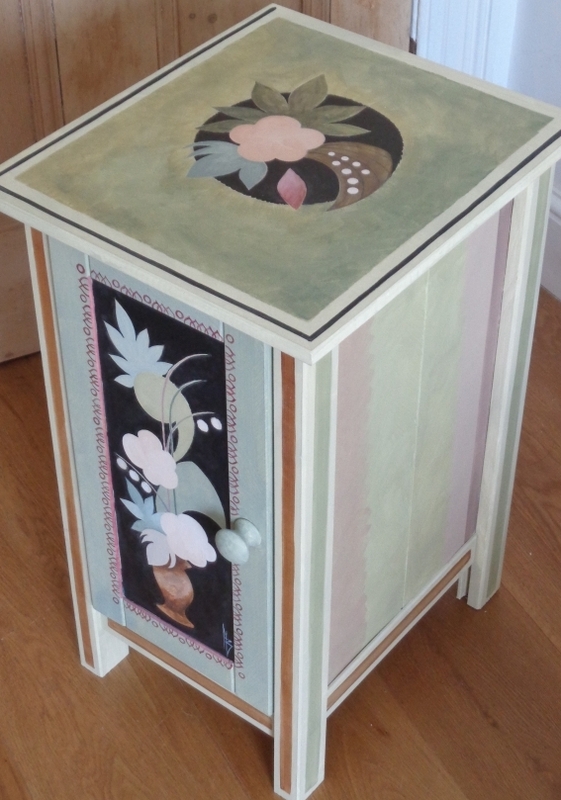 We went in further search of some designs which reflect The Bloomsbury Group ethos and decorative styling. Here is a selection from Sandersons Bloomsbury Canvas Prints and Embroideries, complemented by their Bloomsbury Canvas wallpapers. 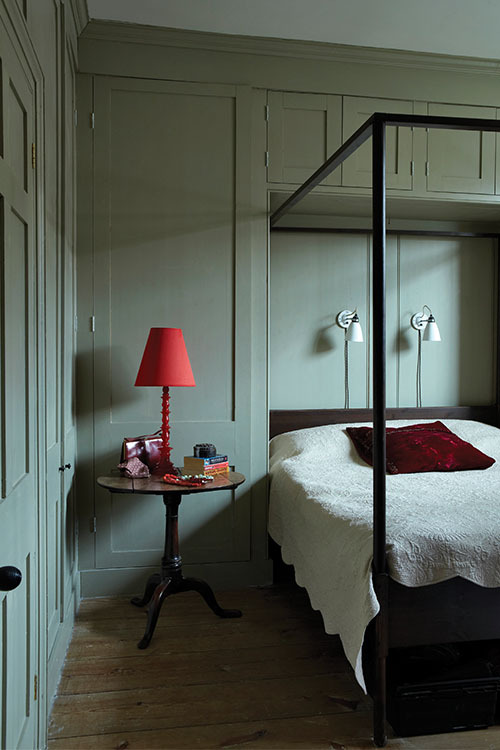 Farrow & Ball create wallpapers and richly pigmented paint colours which can be matched to any look or style you want to create. For further inspiration in-line with the design ethos of Omega Workshops we chose these colours from their colour range. 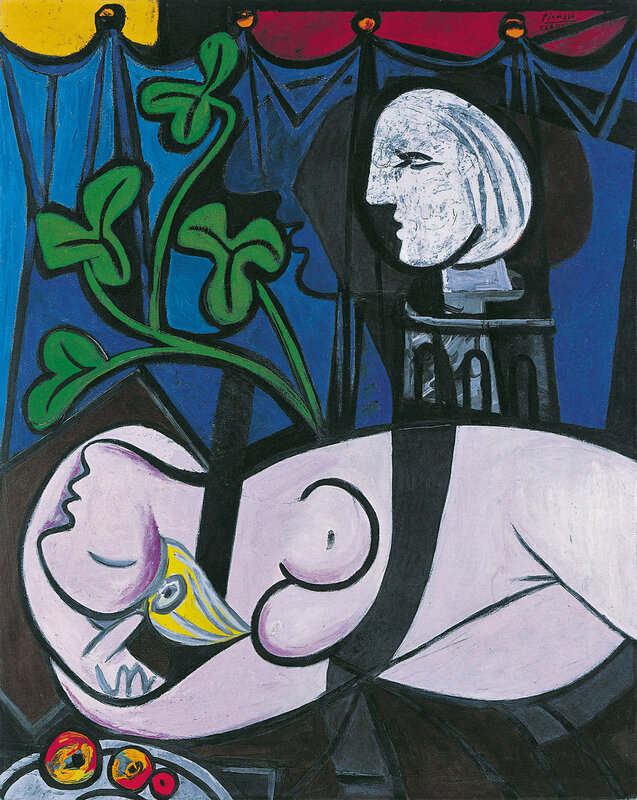 Tate Modern is currently staging its first ever solo exhibition of Pablo Picasso. 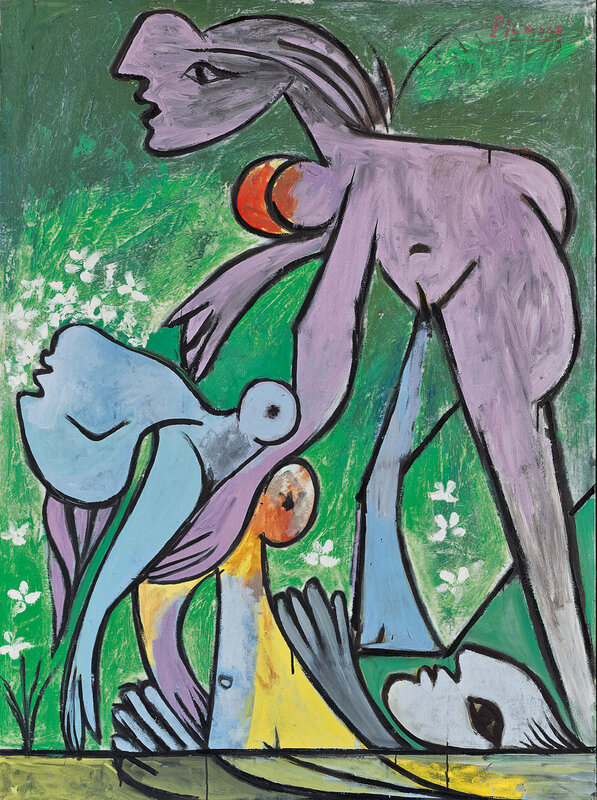 The show focuses on works he produced in 1932, and includes over 100 paintings, drawings and sculptures plus family photographs as well as three paintings of his lover Marie-Thérèse Walter, produced in just five days. 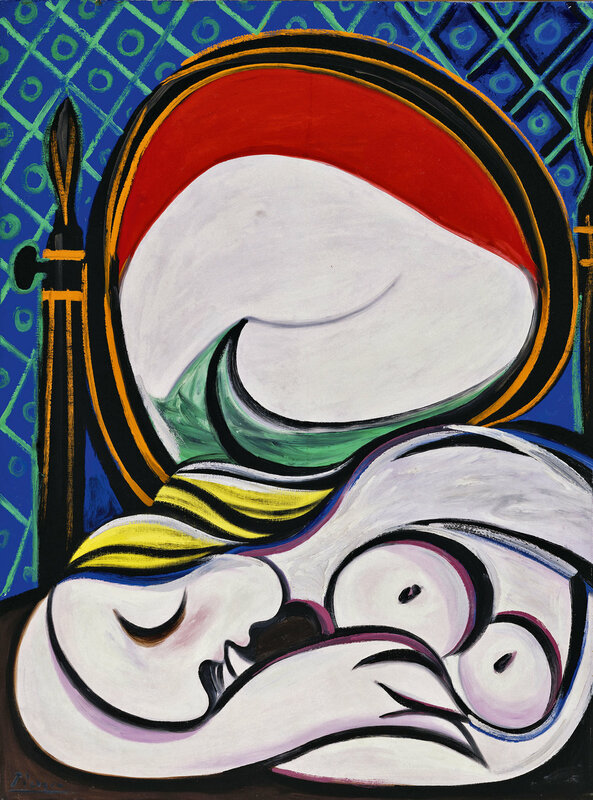 Many of the paintings are voluptuous and curvaceous, and include elements of both cubism and surrealism, while the colour palette veers from dark reds, blues and greens to soft yellows and lilacs. 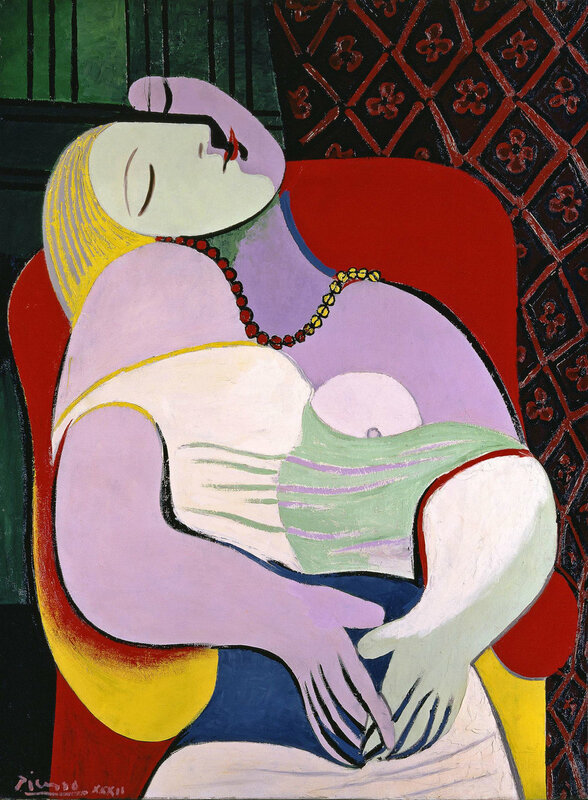 We couldn’t resist putting together some interior inspiration reflecting Picasso’s use of colour and forms... we also went in search of the perfect red chair! He often referenced harlequins in his work including this painting of his young son. 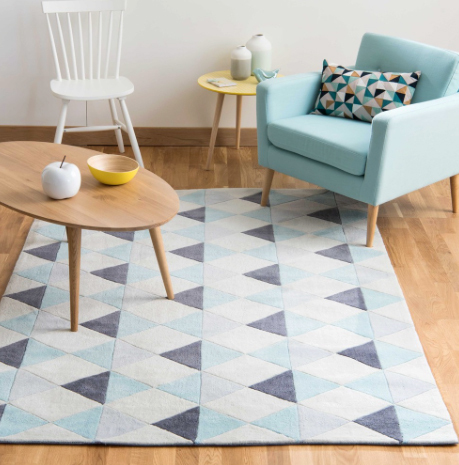 These geometric patterned rugs create a striking centre piece using a subtle harlequin motif. 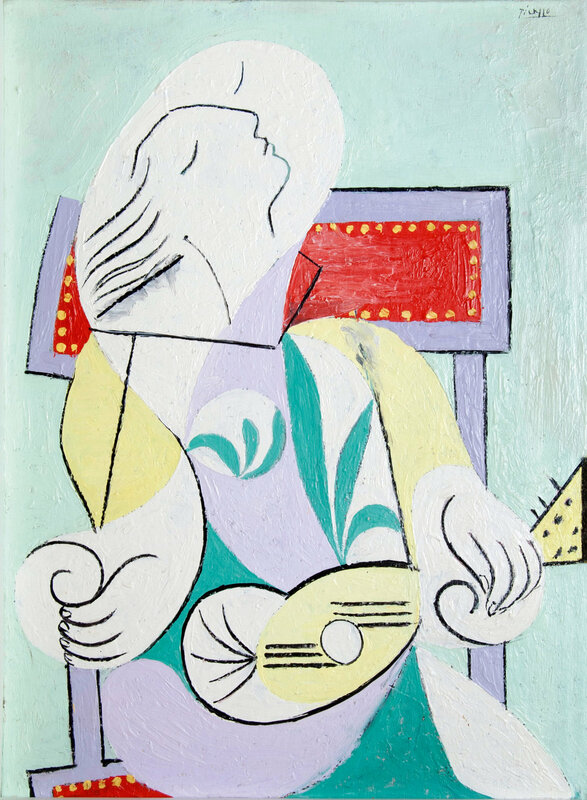 Cushions, throws and soft furnishings are a quick and easy way of introducing a new thematic colour scheme, or for a seasonal update to your interior... we have selected three fabrics reflecting the mood of these Picasso paintings. 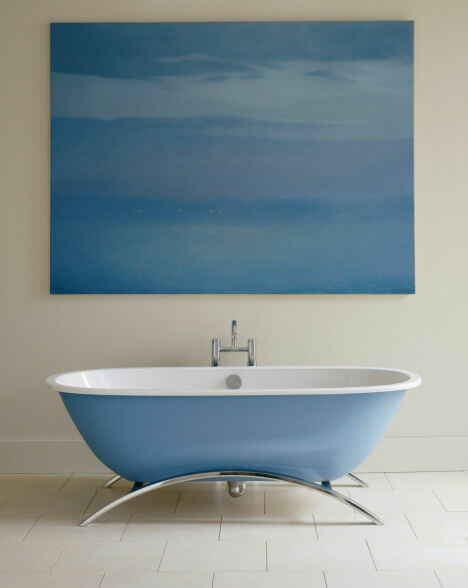 Farrow & Ball create wallpapers and paints based around historic colours, and have produced artist inspired schemes for a number of art galleries... we chose these colours in particular as they reminded us of Picasso's 1930's colour palette. 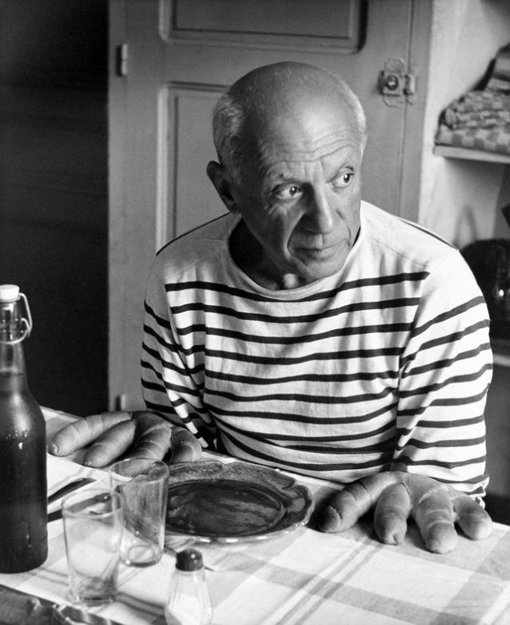 Alongside the exhibition, Tate Modern is serving a special artist-inspired menu and we’ve picked out a few table setting ideas which we think would do justice to a Catalan menu... not forgetting the classic striped napkin in honour of Picasso’s love of the Breton T-shirt! 'A living place where works of art could be enjoyed... where young people could be at home unhampered by the greater austerity of the museum or public art gallery.' Jim Ede. 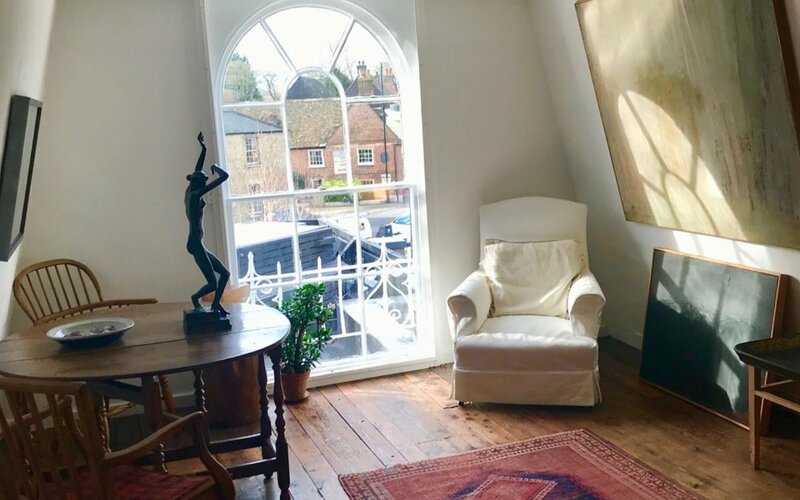 Kettle’s Yard house and gallery in Cambridge has just reopened after a two year make-over and extension to its site, it now includes a café and gift shop. However, the original building remains the same and the eclectic collection of its founder Jim Ede is still displayed exactly as before. 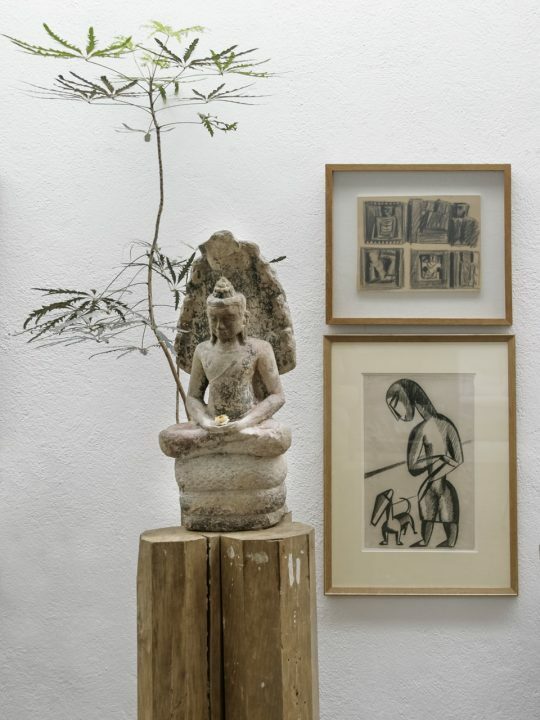 What makes Kettle's Yard so unique and magical, setting it apart from any other gallery space, is that the modest row of interconnecting houses remain set up as a home. 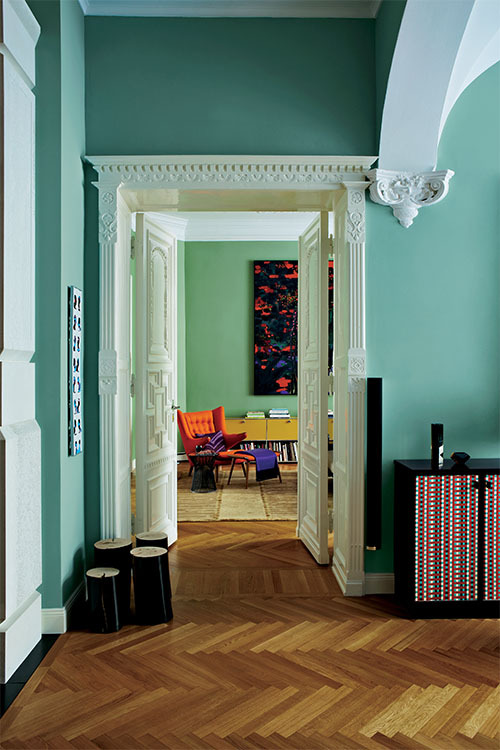 The style is simple and unpretentious, just as when Ede lived there, with sofas, tables, chairs and bookshelves and his collection is displayed without curators notes or labels. 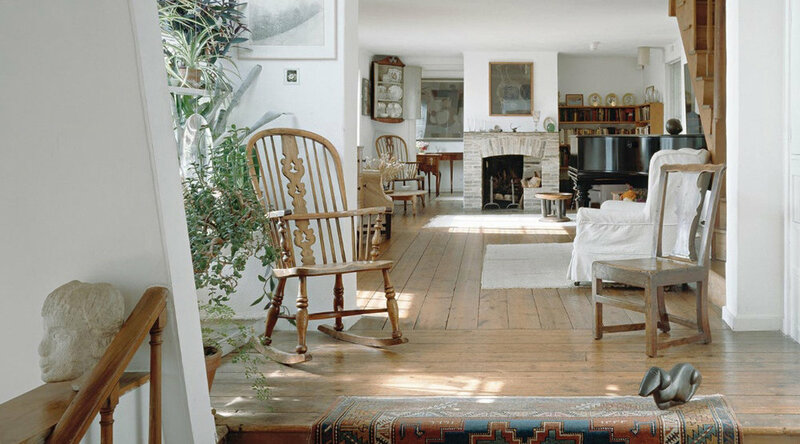 Originally, the now iconic Kettle's Yard, was a row of small dilapidated workman’s cottages which Jim Ede, a former Tate curator, acquired and converted into a home for himself and his art teacher wife Helen in 1956. 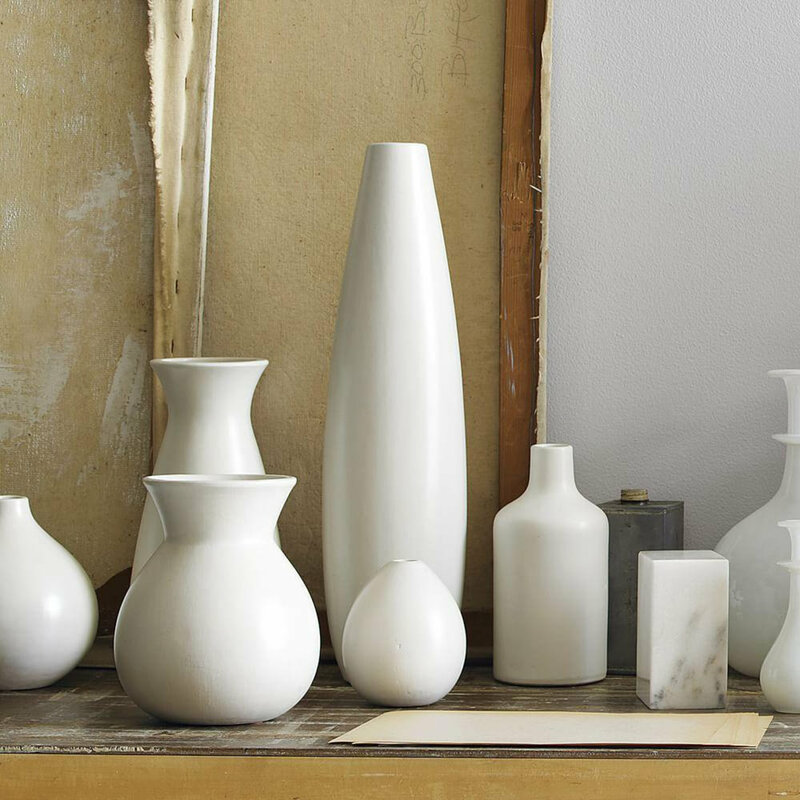 Ede was an avid collector of modernist British and European ceramics and artworks and amassed a collection which includes paintings by Ben and Winifred Nicholson, Alfred Wallis, Christopher Wood, David Jones and Joan Miro, as well as sculptures by Henri Gaudier-Brzeska, Constantin Brancusi, Henry Moore and Barbara Hepworth. Jim Ede would display a simple swirl or dish of pebbles with as much respect as he displayed a precious piece of pottery, displaying art and non-art pieces alongside each other. Later he donated the entire collection and the house to Cambridge University, at which time its reputation as a place to visit with reverence grew. 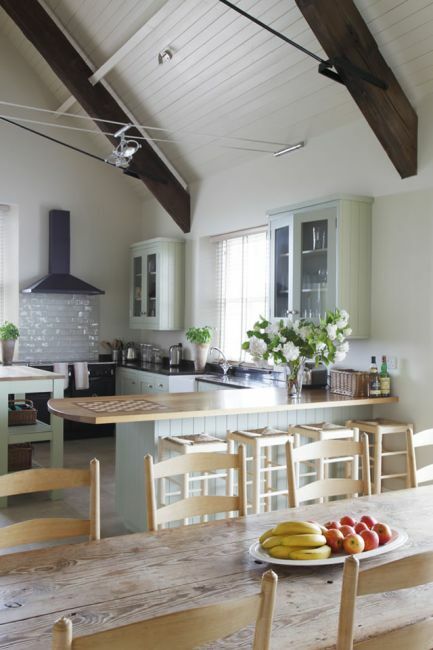 His style was based on simplicity and he aspired to create for each room "an atmosphere of quiet and simple charm". 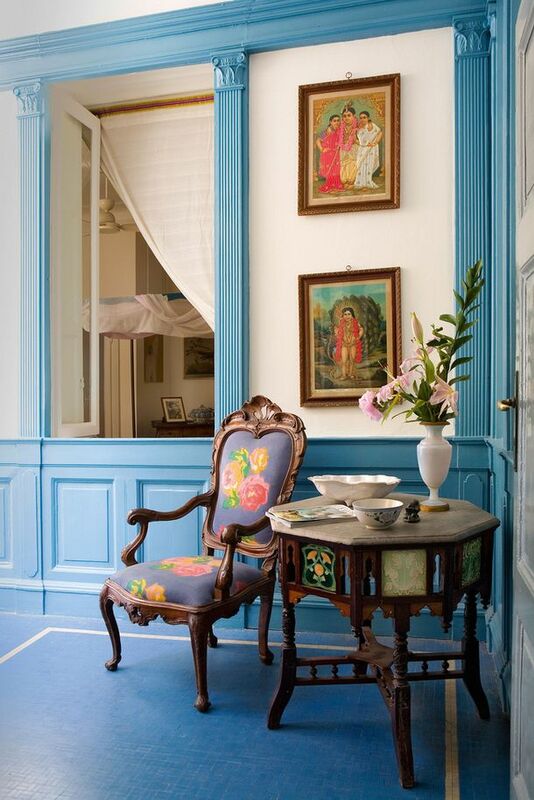 The house retains that charm alongside the history it carries within the carefully curated objects. 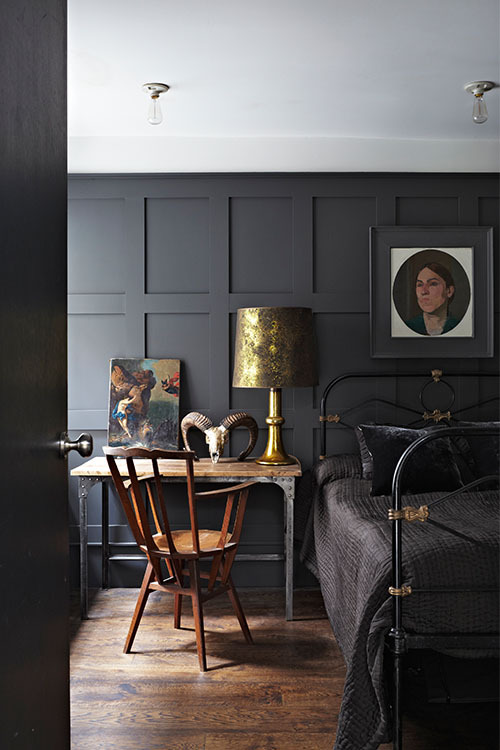 We love the effortless style of the home Jim Ede created and the skill of the curators eye which he transferred from his time at the Tate gallery to his own home. We can all use our creativity to curate personal collections or memorabilia and, as Ede has shown in his shell and pebble collections, it’s often how we choose to show those items that is as important as the items themselves. 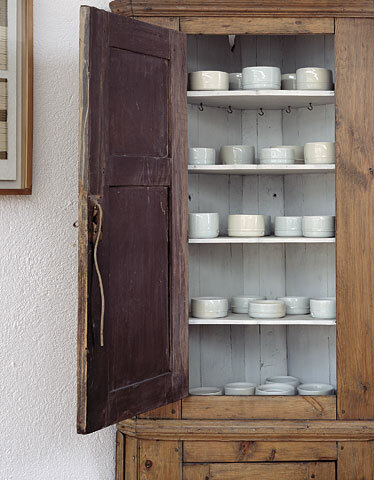 Curating your own collection and changing things around regularly not only brings out our creativity but can make us see things afresh – we may not all own a Lucie Rie dish or a Miro painting but here are a few key ideas to get things started! We really love the way the paintings and prints are grouped together, sometimes in quite unexpected places, and framed in simple wooden frames allowing the pictures to stand out and also unifying them. Try framing family photographs and prints in matching frames and creating your own gallery to add interest to a stairway or hall for example. 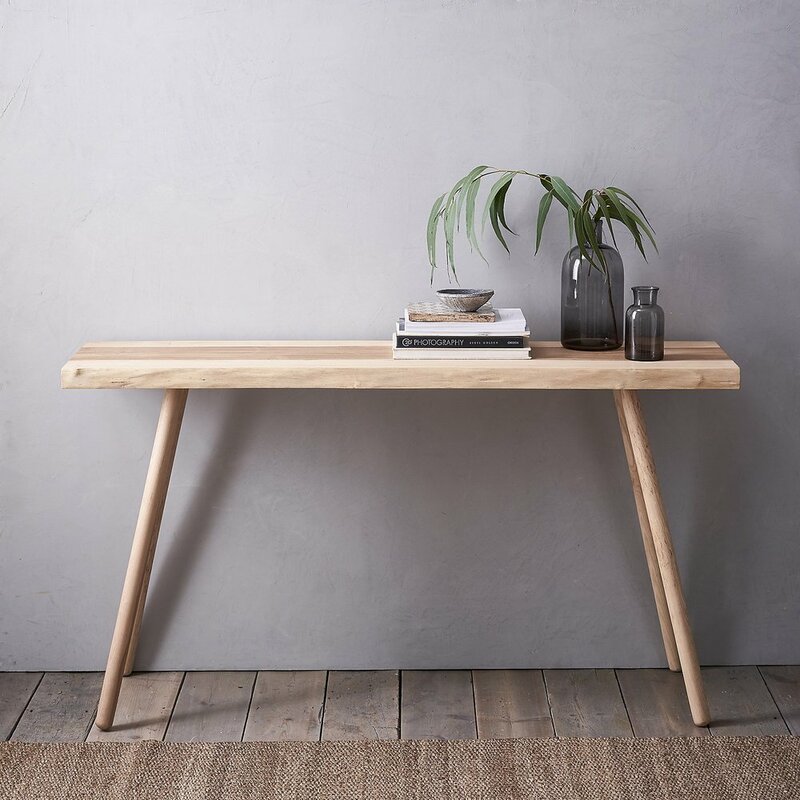 For its clean lines and simplicity, the Galvin Brothers handcrafted furniture is traditionally built but with a contemporary twist. 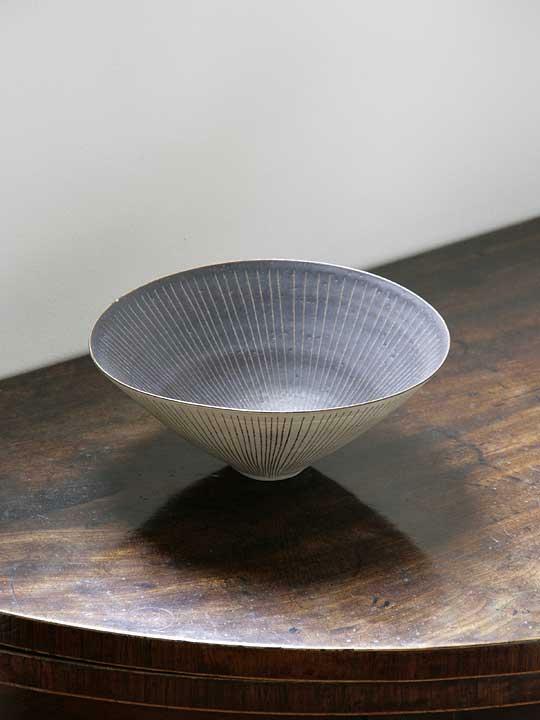 Have fun curating your own items, and if you want to collect on a shoestring try Habitat for very affordable studio-style pottery or for the real thing go to Maak who will be holding a contemporary ceramics auction in May (online preview from 27 April). 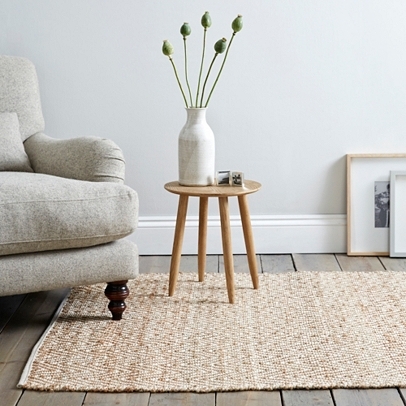 A new year calls for fresh inspiration and new ideas, and what better place to start than in our home. Whether grand or modest, small or large our home can be our sanctuary and also a place where we can express our creativity. Houzz, the home improvement and interior design site which brings homeowners and professionals together, is always full of innovative, creative ideas. 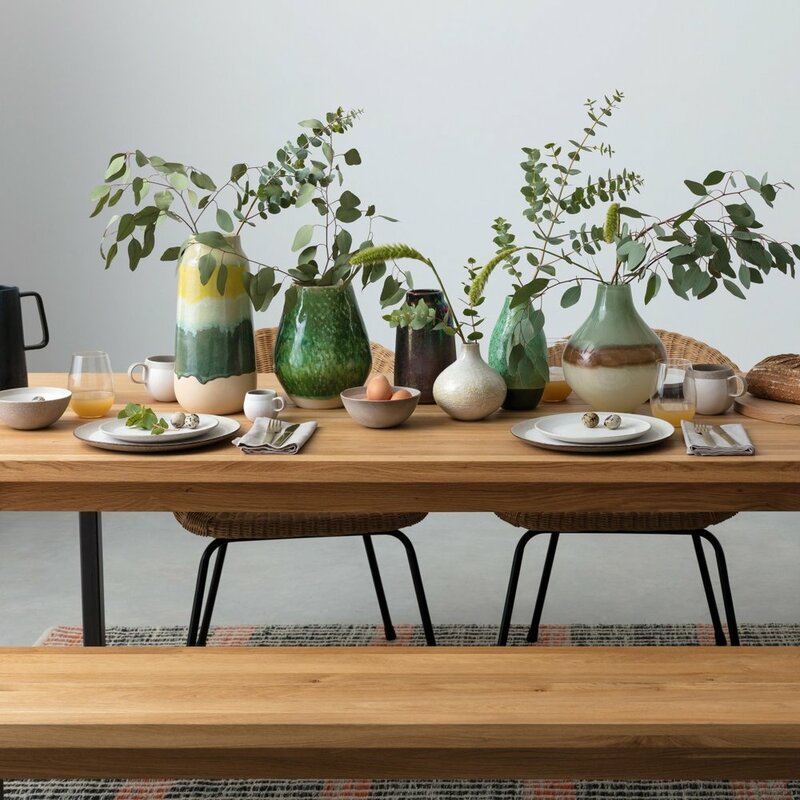 Their latest brilliant pop-up is Houzz of 2018. From 26th until 31st January Houzz has completely taken over a stylish five-story house in the heart of London’s Soho. This exciting pop up will be crammed full of interior design inspiration and ideas for 2018 from leading suppliers and manufacturers in a uniquely accessible way. The great news is, it’s all completely free to enjoy, and don't forget your complimentary cup of Nespresso coffee. With a variety of workshops and talks from Candle Making to Japanese Flower Arranging, some of which, like the Cocktail Making Class, are also free ... we can’t wait! 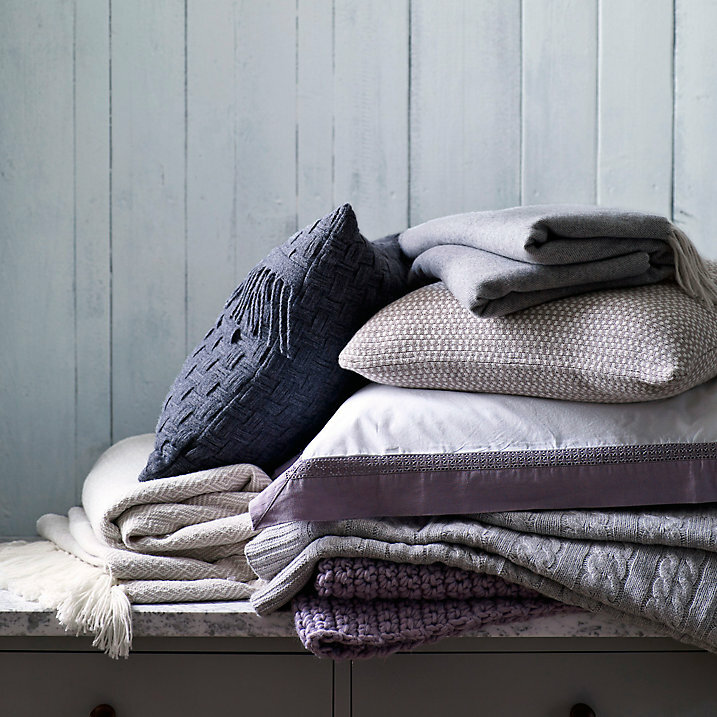 Never underestimate the importance of a good night’s sleep, especially during cold winter months. 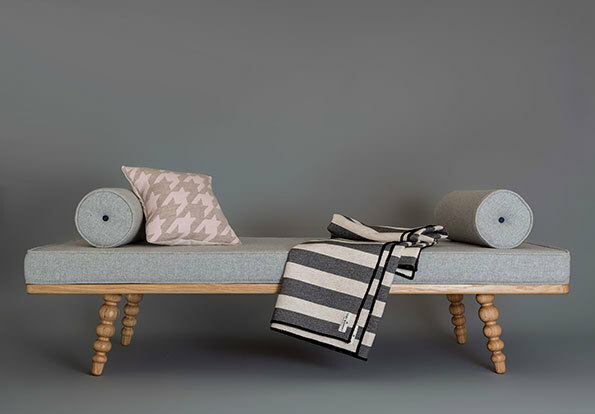 Houzz have chosen to showcase handcrafted beds from Swedish bed company Hästens. 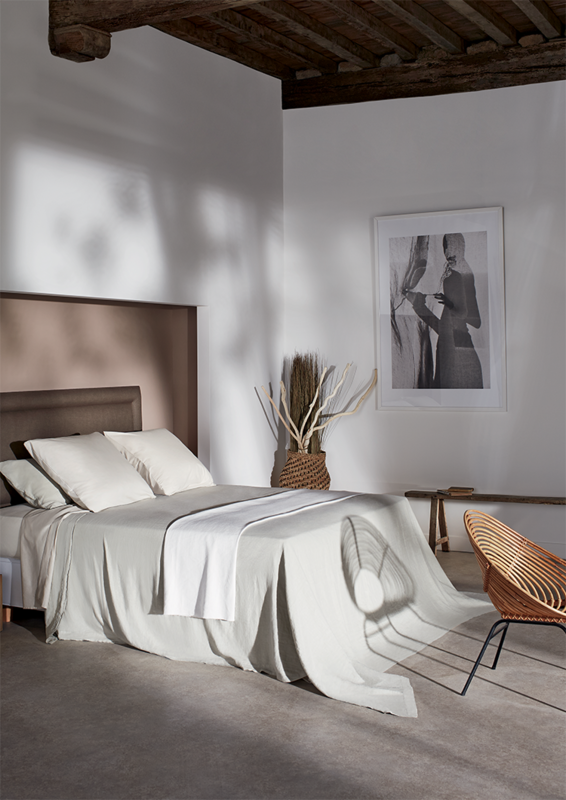 Hästens beds and mattresses, are made from ethically-sourced, organic and natural, hypoallergenic materials. 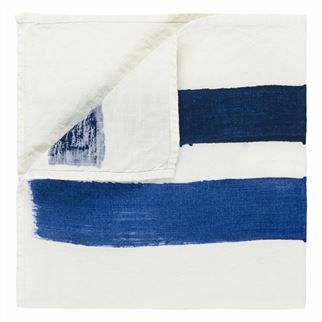 Their iconic blue check cover is instantly recognizable, but they also make a beautiful range of headboards, valances and bed linens in a variety of colour-ways. Here are some of our favourite looks from their range. For another option that doesn't scrimp on comfort and luxury, take a look at these similar styles from Vispring beds. 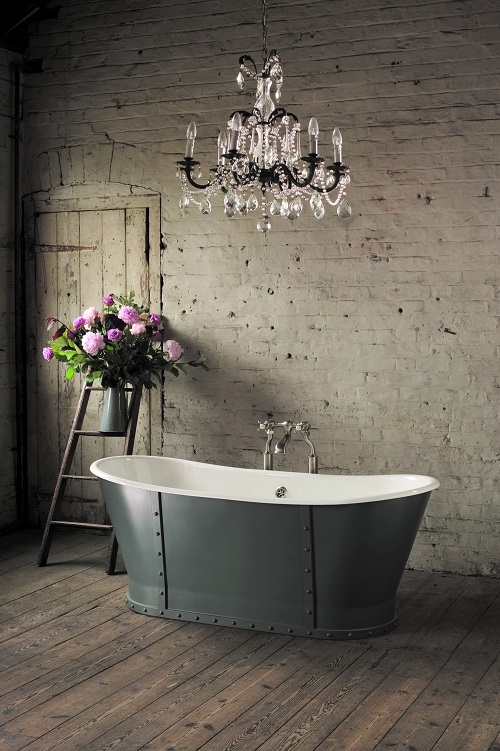 For their bathroom, Houzz has partnered with Aston Matthews, who have been trading in London since 1823 and are known for their iconic cast-iron freestanding baths. Alongside their traditional range they have also introduced contemporary styling with the same attention to tradition and craftsmanship. 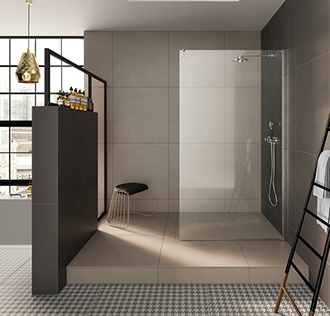 For similar looks try Ideal Standard who have produced a number of freestanding baths with a modern twist, and also produce both contemporary and traditional bathroom furniture. Benchmarx Kitchens will be showcasing its Sherwood kitchen. 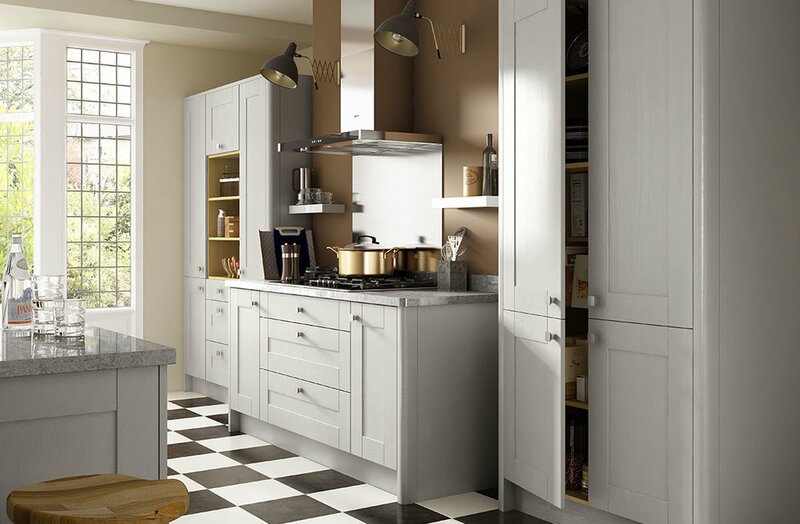 The kitchen cabinets are in classic Shaker style with the feel of painted wood, but are in fact synthetic making them durable and easy to clean. Interestingly the colour range is in line with Dulux colour predictions for 2018. 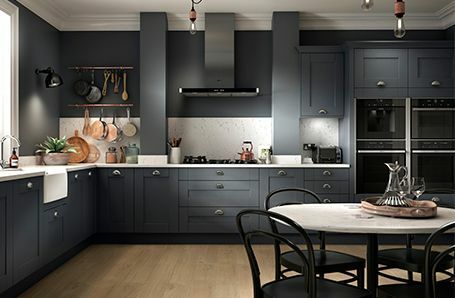 For a similar look head to Harvey Jones who have been creating bespoke kitchens for over 30 years with Shaker-style being one of their most popular looks. As you can see from the photos below, the cabinets can be painted and re-painted in any shade you choose as mood and fashion predicts. 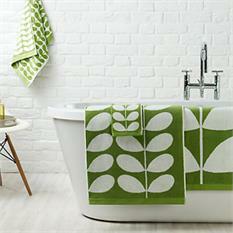 For Harvey Jones 'trend watch' colour advice click here. 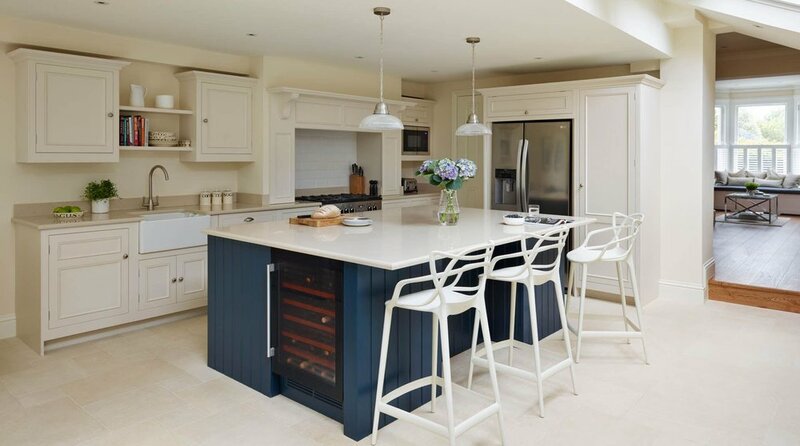 We created this Shaker-style kitchen and dining area for our client’s house on the West Coast of Ireland. Its proximity to the sea is reflected in the colour scheme, and the choice of traditional styling added a sense of time and history to their newly built house. Dulux have unveiled their Colour of the Year 2018, called Heart Wood. 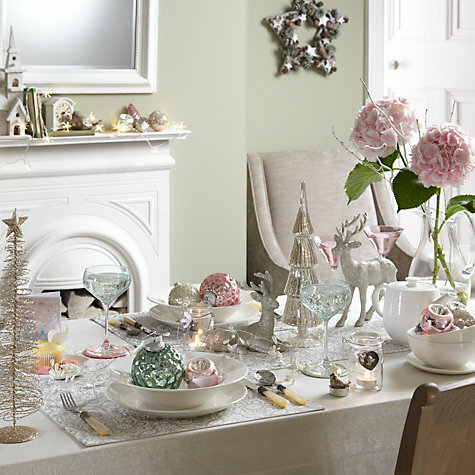 Described as a calming hue, ‘warm neutral with a hint of heather’, theming the home as a sanctuary. 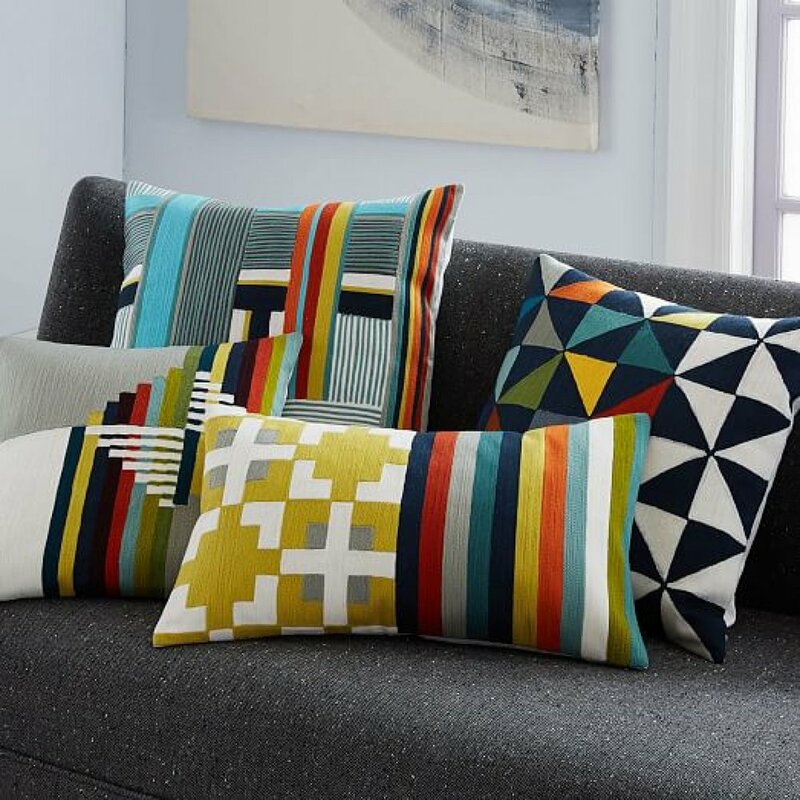 You can still echo their 2018 colours in your interior without the need to change your entire colour scheme, by adding accents of colour through cushions, throws and accessories. 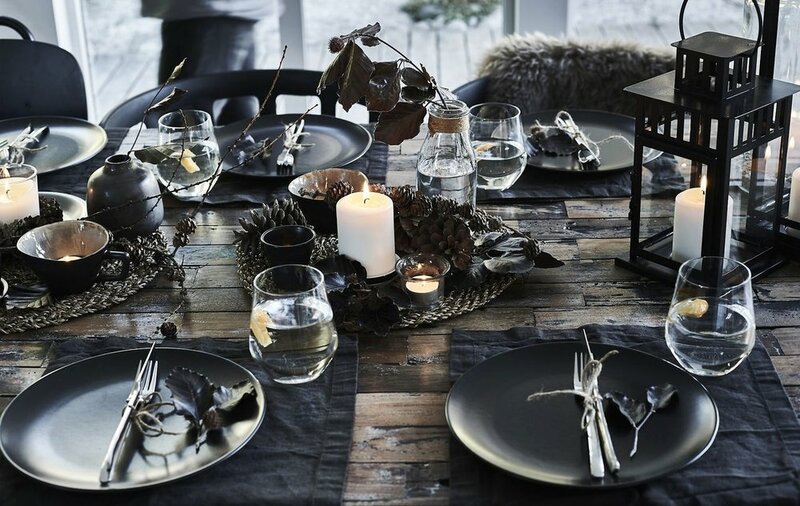 It seems Scandi style is definitely still with us. 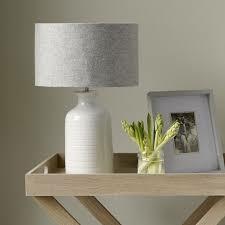 For a distinctly British take on the Scandi look check out The White Company. 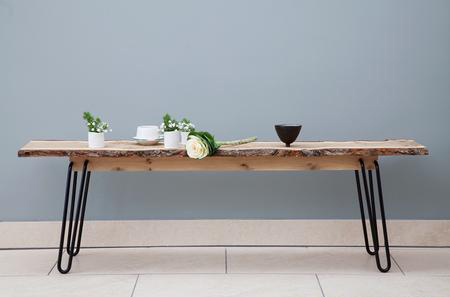 They have also teamed with Galvin Brothers to produce a beautifully crafted range of handmade, timeless pieces direct from their Yorkshire Workshops. 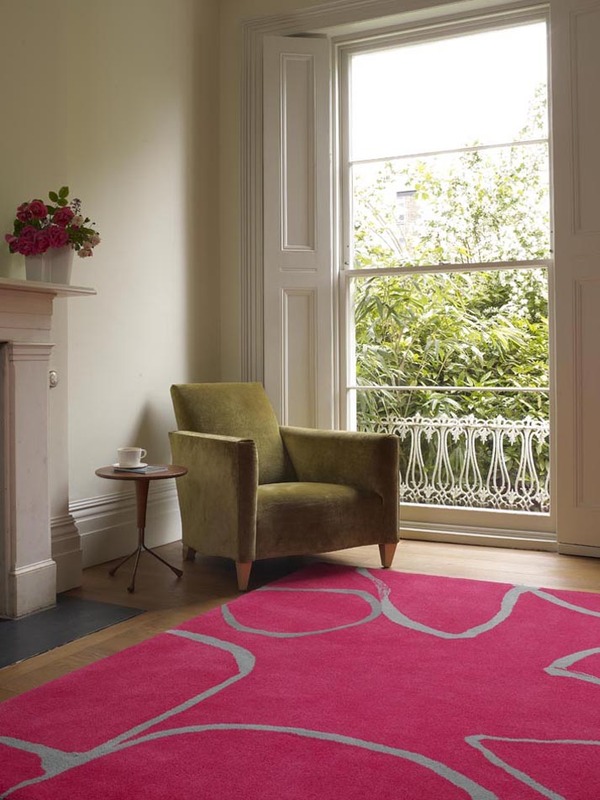 We love these lush velvets and bold colour predictions. 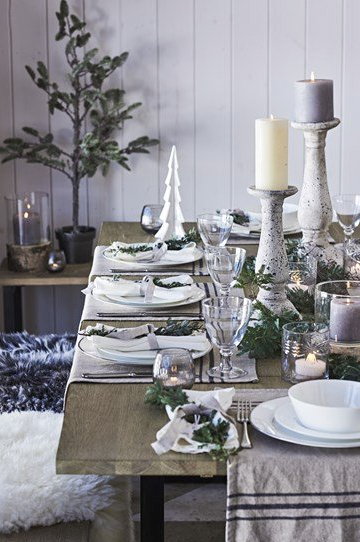 It’s the festive season and the perfect excuse to get creative with decorations and table settings. 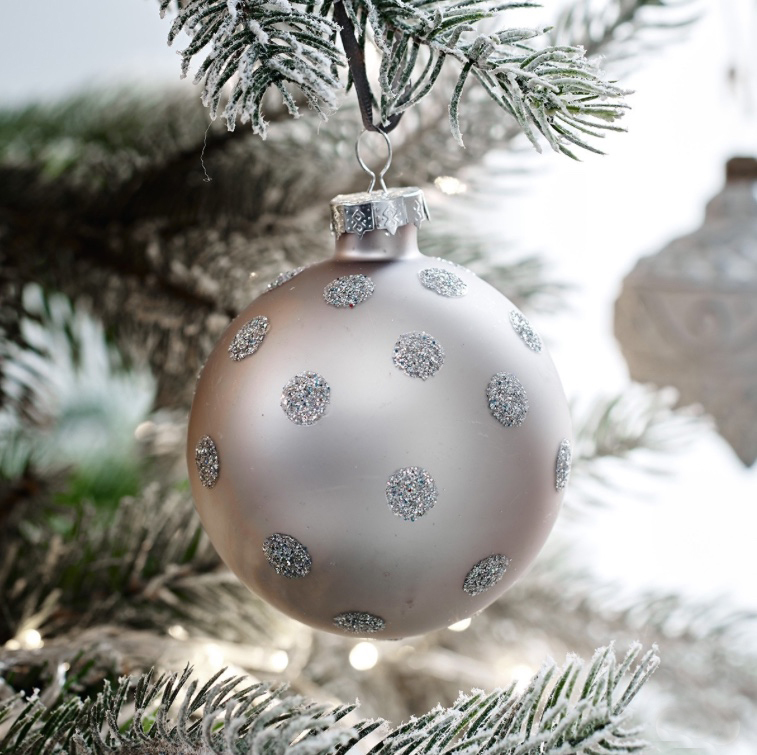 Our own signature style at this time of year usually focuses on green white and silver or gold. By having a fresh, neutral theme as a contrast to the colourful food and drinks on offer, it can go some way to creating an air of sophistication even if the mood gets distinctly party! 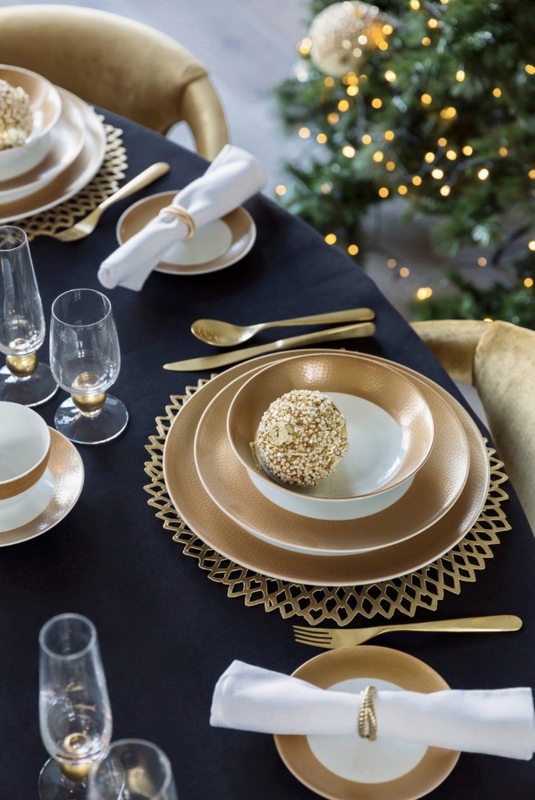 By contrast we have also been inspired by the modern trend for mixing up colours, and Jasper Conran’s Christmas theme particularly caught our attention. 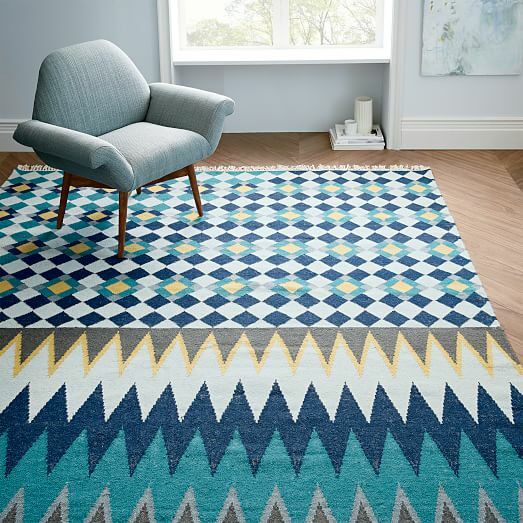 Brights like these work in both a traditional home and also a modern, pared-down interior, as long as they are used against neutrals or white as a backdrop and are not jostling with other colours and patterns. 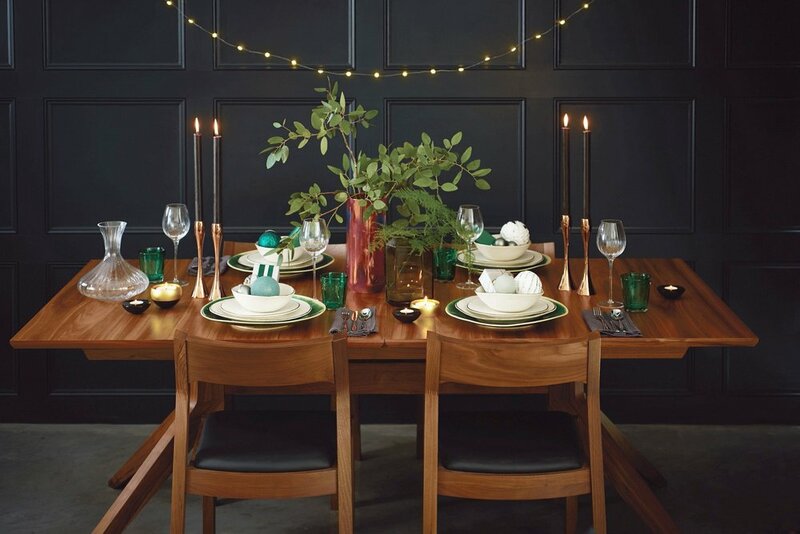 You can get the look with these party decorations from the Conran Shop. Flowers are an absolute must for Christmas and we love these vibrant arrangements by Rebel Rebel. 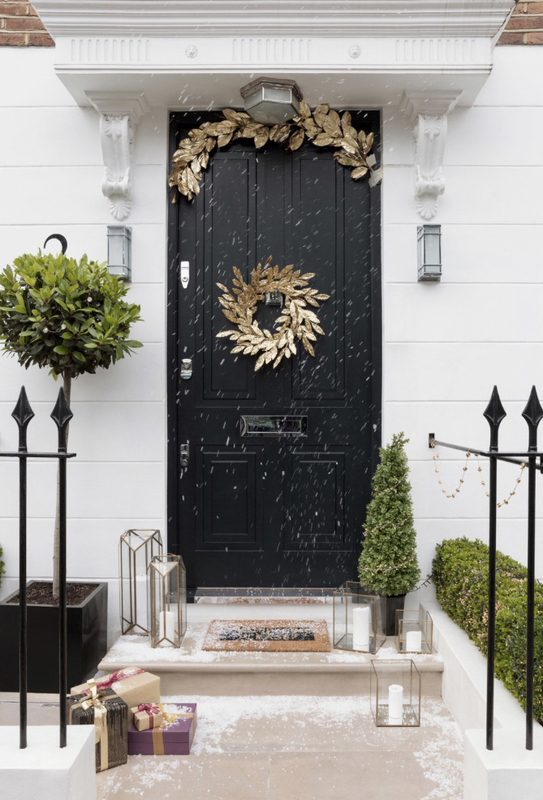 They have also put together some gorgeous wreaths for the front door, to make just the right impression when guests arrive, and which we think look just as lovely inside or out. 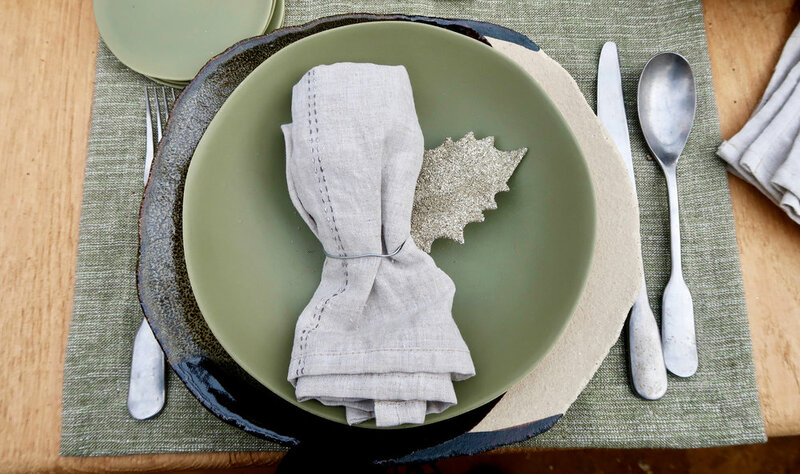 Add some colour but without going overboard with vivid hues by using a pastel theme - stay with a single colour, or mix pastel shades and add some sparkle like this Heal's table setting. And don’t forget the flowers. 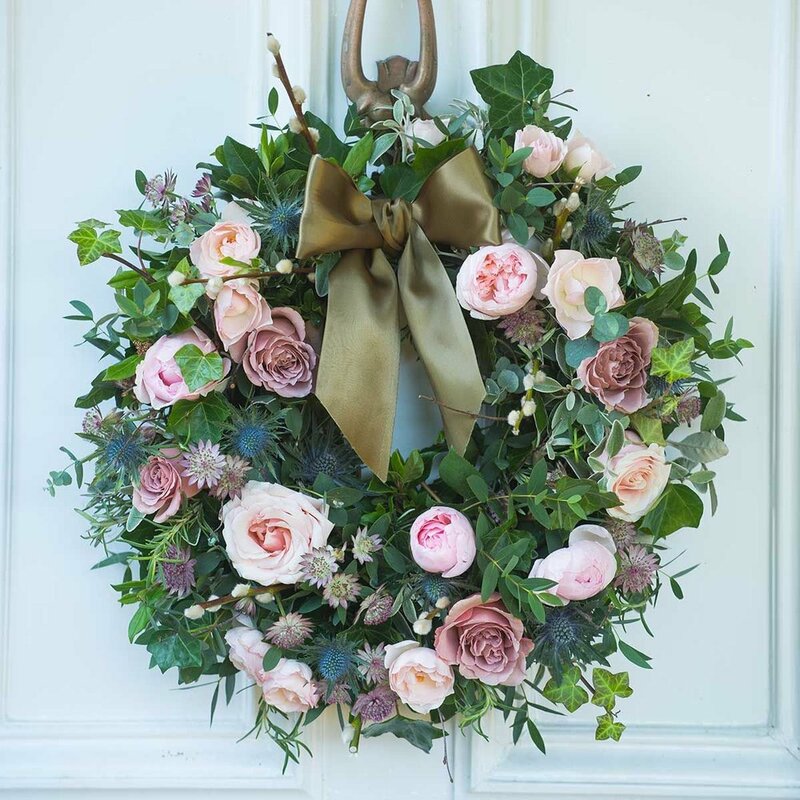 Take a look at these gorgeous wreaths and table arrangements from The Real Flower Company. 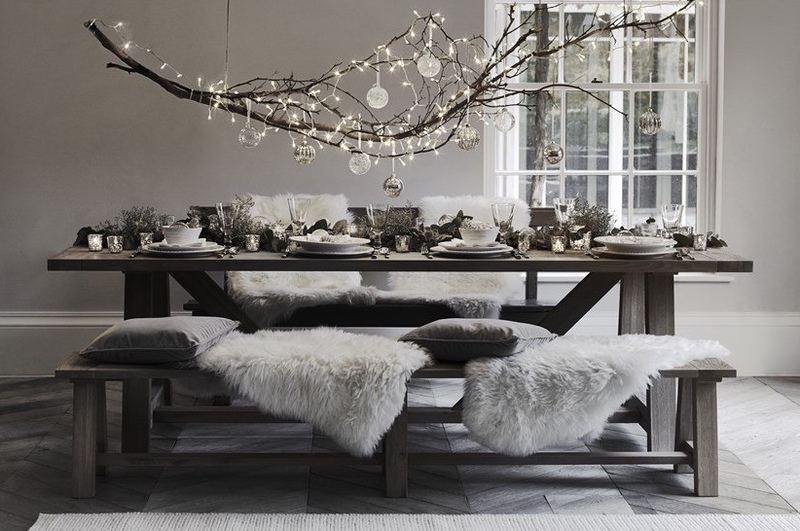 A Nordic-style colour scheme can be distinctly elegant. 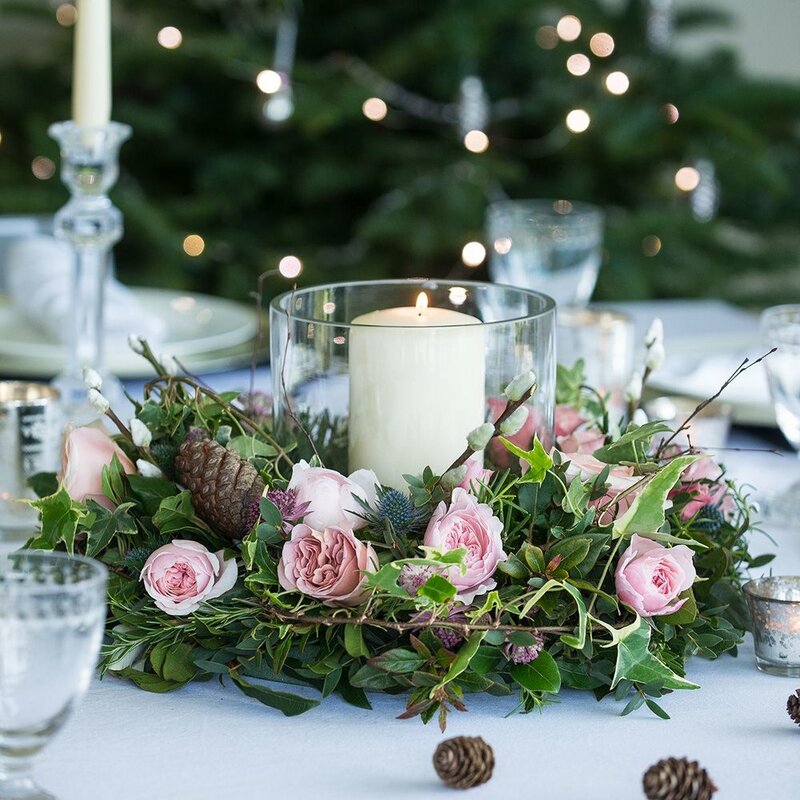 Decorate your table with deep red flowers, greenery and foraged pine cones - add some glamour with gold cutlery, scented candles and fairy lights. We really are spoilt for choice, and it will be a hard decision this year but you can never get it wrong with a White Christmas! 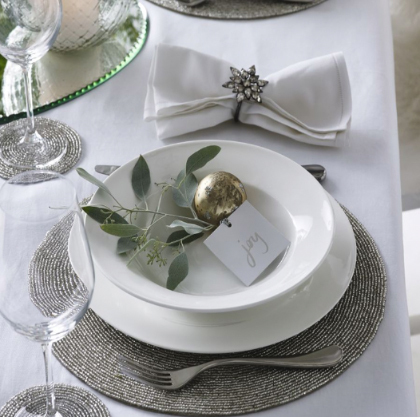 If you decide to go with an all-white theme add colour with greenery, and touches of silver in candles, cutlery and tableware. We especially love these mini pots of flowers with guest tags for each place setting. 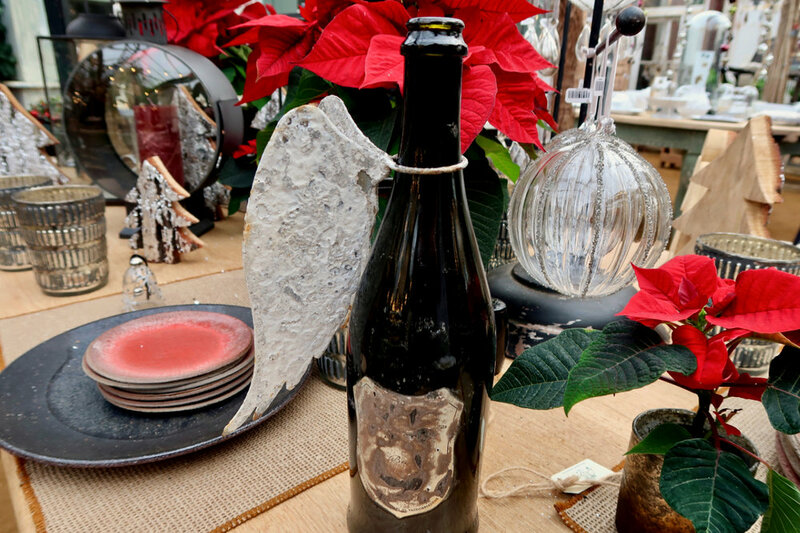 Amara is one of our go-to Christmas shops - from tree decorations, cushions and wreaths to gift ideas, designer tableware and ornaments, with everything you need to prepare for the festivities. Tate Britain’s current EY Exhibition tells the story of the artists who fled to Britain in the 1870’s to escape the Franco-Prussian War and insurrection in Paris. When we think of Impressionism, many of us immediately imagine the muted colours of Monet’s Waterlilly paintings, but this exhibition includes not just familiar tones, but also figurative works of London scenes such as James Tissot’s London Visitors (1873) and Monet’s Meditation, Mrs Monet Sitting on a Sofa (1870-1871). In many ways their inclusion provides a wider view and a fascinating insight into the connections these artists made with British social life. A room is dedicated to Claude Monet’s studies of the Thames and the Houses of Parliament, painted in his iconic style. Further paintings, including a number by Pissaro, who lived in the Crystal Palace area while in London, inspired us to put together our own moodboard to reflect the familiar muted shades we associate with the Impressionist style. We took additional inspiration from Dulux paints. 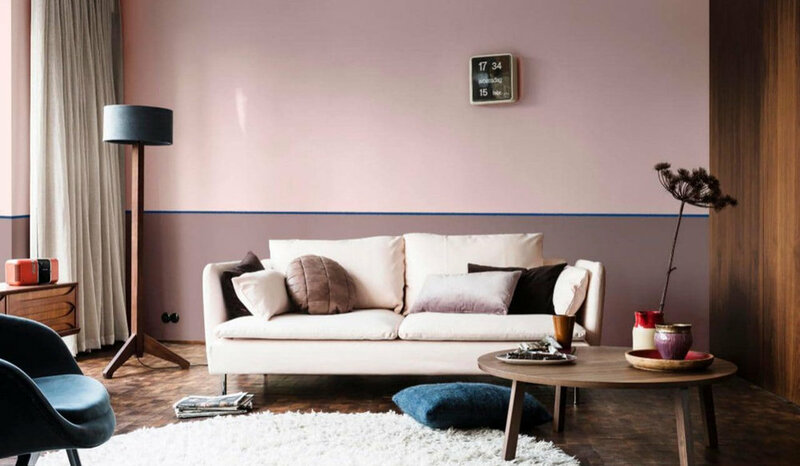 Changing a wall colour, adding some colour to an otherwise neutral palette or simply changing the colour of a few accessories can really change the mood of your interior. 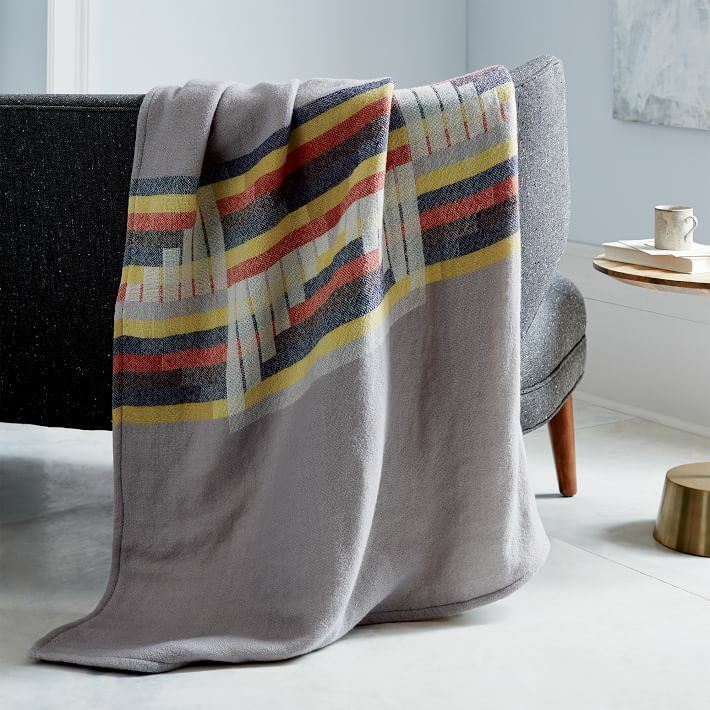 These velvet cushions and bedding from west elm are ideal for cosying up the bedroom and their crinkle lush velvet cushions could also provide just the right impression in the living room, giving a quick seasonal makeover for chilly evenings. Monet said: “Colour owes its brightness to force of contrast rather than to its inherent qualities” – and this is why he chose to use orange and blue in several of his paintings. These two hues create a vibrant contrast as illustrated on the Grey Hamilton Sofa by flashes of turqoise and orange cushions. 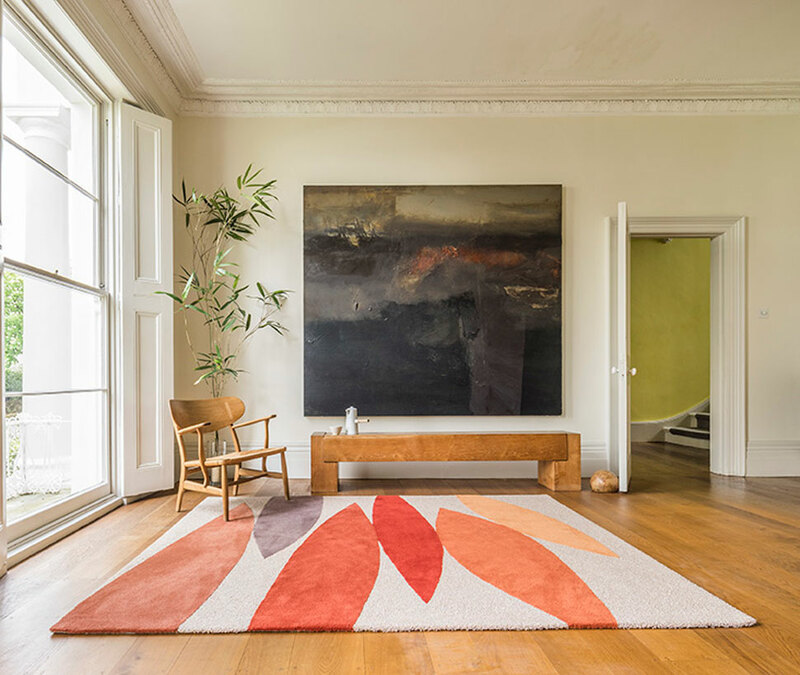 Or try one of their rugs such as Flame or Verve, in a variety of colourways which also echo the hues and textures of the Impressionist style. 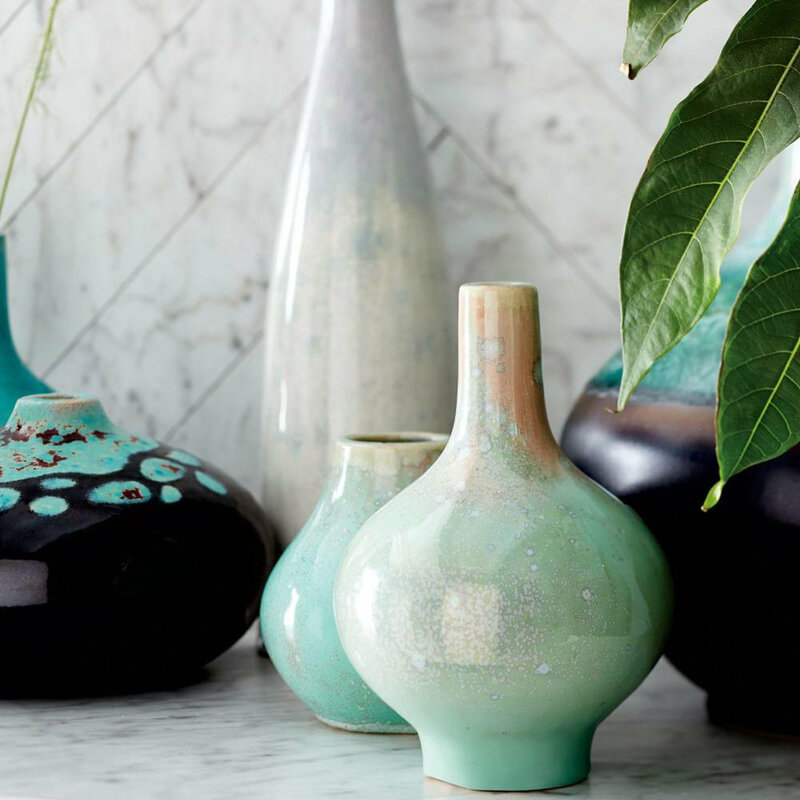 Accessorizing with a personal collection such as vases or ceramics which draw on a single colour spectrum creates a focal point - such as this collection from west elm. The artist Paule Vézelay has been very much out of the limelight since her last exhibition at Tate Britain in 1983. The current Spotlight show at Tate Britain will hopefully re-establish her place at the forefront of modern art. 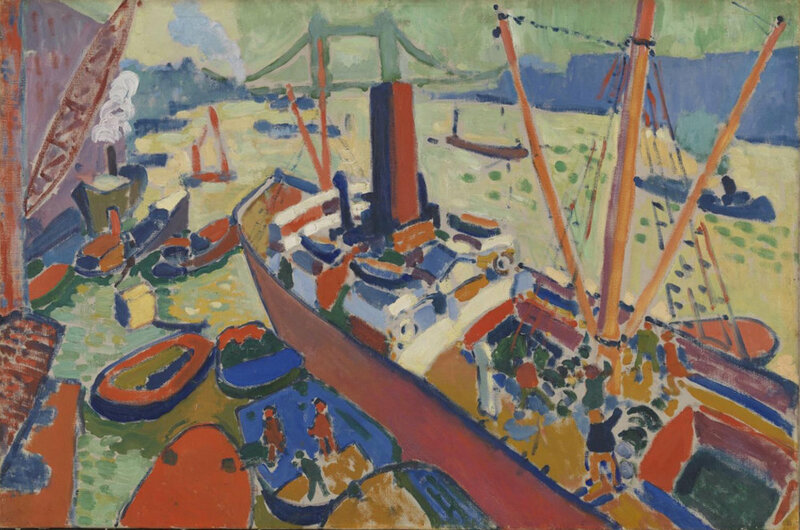 Despite her French sounding name she was born Marjorie Watson Williams in Bristol in 1892 but moved to Paris in the 1920’s and the influence of the abstraction of Joan Miro, Hans Arp, Kandinsky, and her partner Andre Masson can clearly be detected in her paintings. 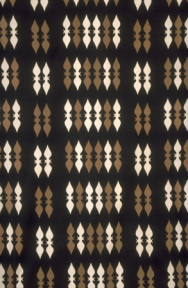 In the 1950’s she also started designing textiles, Tate Britain’s current show only has a few of her textile designs on display, but we were intrigued to discover more about her earlier work and also inspired to carry out some further research on her textile designs for companies such as Heals and Ascher. 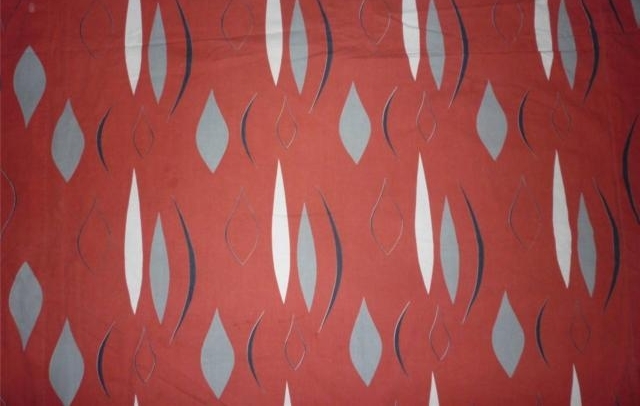 Her influence on contemporary design is evident, not just in her paintings but also in her post-war textile designs as can be seen in a selection of her bed-linens, curtains and furnishing fabrics below. 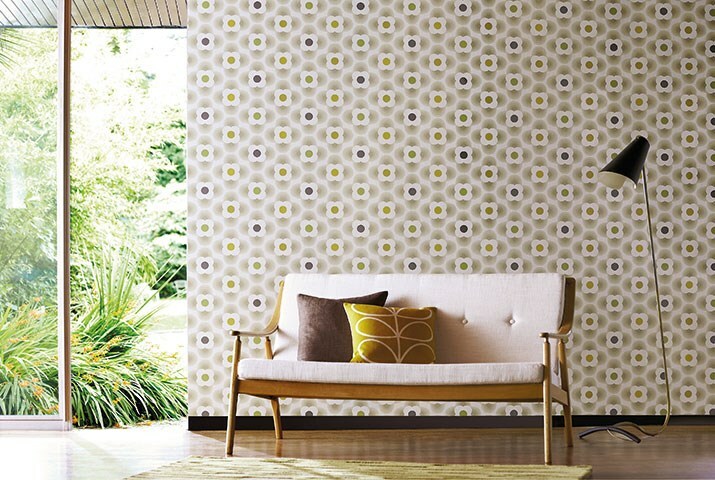 Orla Kiely is a contemporary designer whose retro designs are inspired by post-war textiles but with a modern twist. 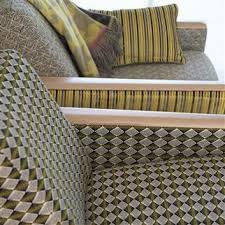 She particularly favours the textile prints of the 60's and 70's because of their resonance with the vitality of modern art of the period. 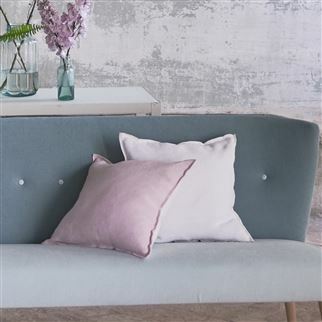 Designers Guild have a selection of furnishing fabrics and wallpapers, with a similar aesthetic but with an updated feel. 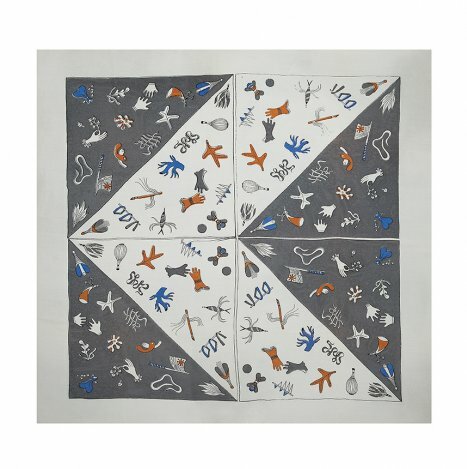 A number of artists, including Vezeley, put their art on silk scarves for Ascher from the 1940’s onward, with the idea of combining art with industry, demonstrating the connection between craft and art. 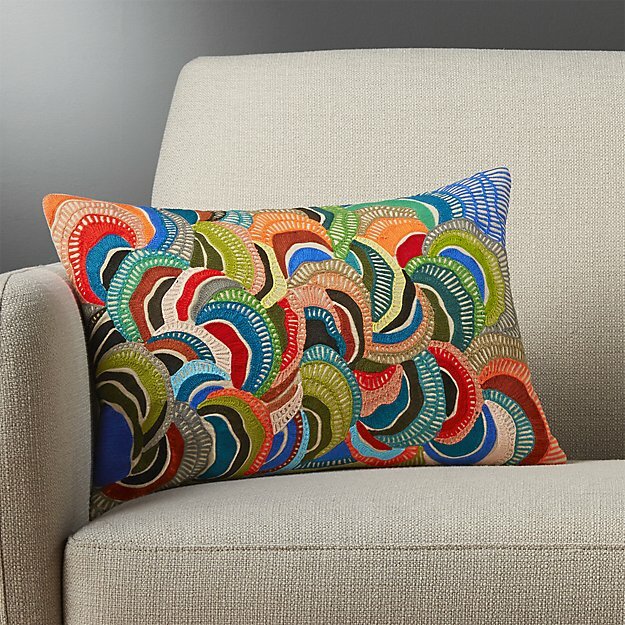 Lisa Corti is based in Milan and draws inspiration from the exotic and the painterly style of Matisse for her cushions, throws and bed linen. Maxine Sutton, based in Margate, originally trained as a fine artist and her current studio practise reflects this, she describes this interaction as “Holding on and Letting Go. In between cloth and paper”. 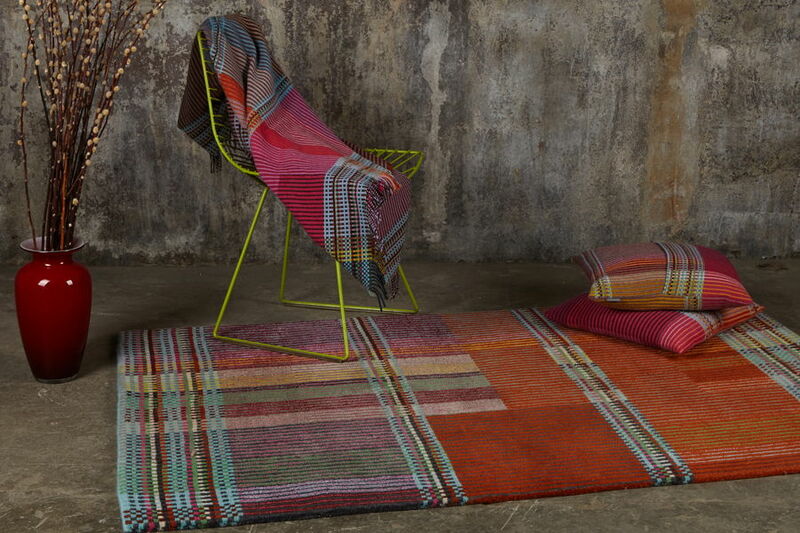 Helen Yardley's painterly rugs bring a living room to life with their vibrant tones. 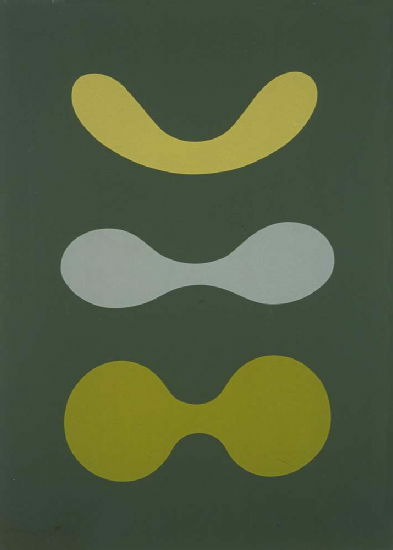 She describes her work as "fundamentally paintings about colour and shape and how they relate in space". 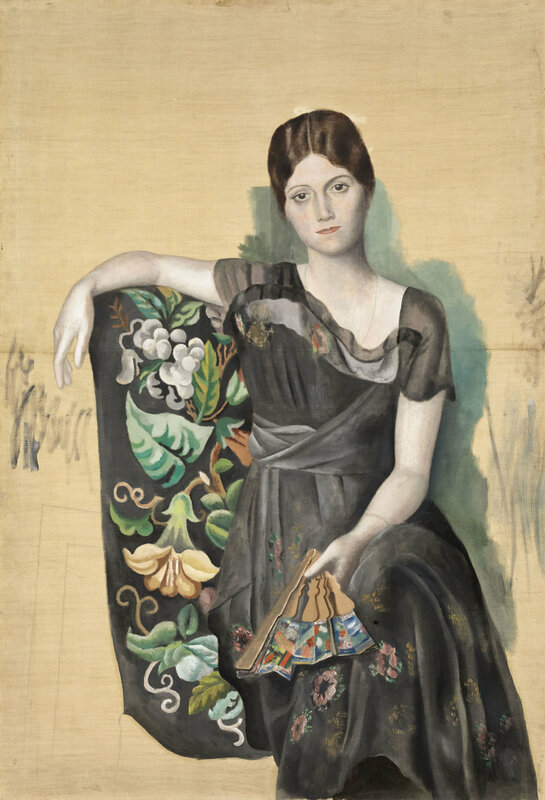 The Paule Vézelay Spotlight Display is open now until 5 November at Tate Britain. "I have worked all my life before the same objects... The object is an actor. 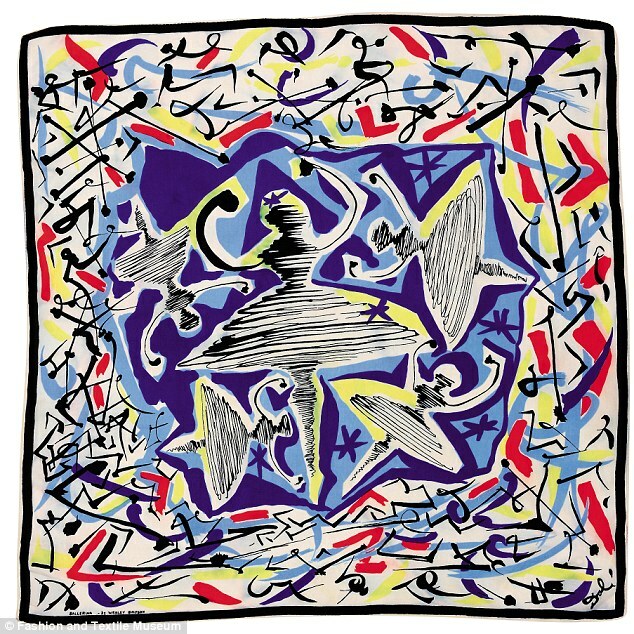 an object can play a role in ten different pictures"
The current exhibition at the Royal Academy, Matisse in the Studio, is a fascinating display of thirty five objects collected by Matisse, alongside sixty five works of art which include the objects in their imagery. The items, many of which were flea market finds, include a chocolate pot, which he received as a wedding gift, and appeared in a number of his paintings over a period of 40 years. 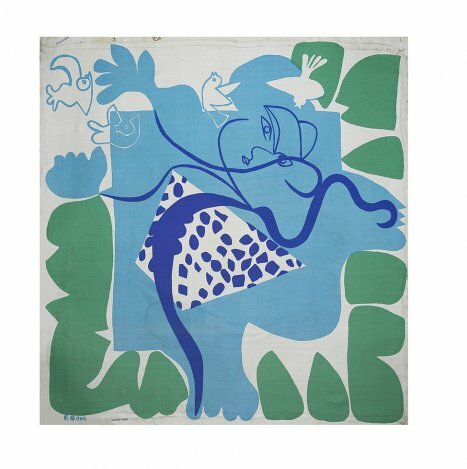 Matisse would draw inspiration from this eclectic collection of memorabilia, and rearrange them in different settings and against different backdrops, layering pattern, textiles and colour in his work, and reusing them time and again. 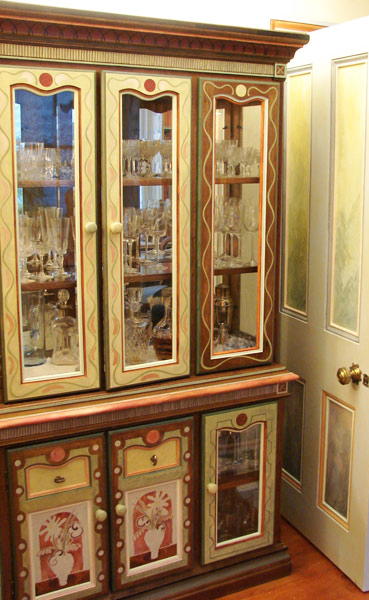 He collected items purely for their aesthetic appeal, they weren’t just rare or expensive items. Many, like the chocolate pot, were everyday homewares which he used on a daily basis and formed part of his home life as well as decorative items, such as vases and fruit bowls. His collection also included African masks, North African textiles, and Chinese porcelain, and he adorned his studio in Nice with them. This Andalusian green vase features in a number of his paintings and what is remarkable is how in different paintings he imbued the same item with quirky characteristics that take on a human touch. Alongside Delft blue and white pottery from Holland he also had a collection of willow pattern ceramics from China, and both featured many times in different paintings. 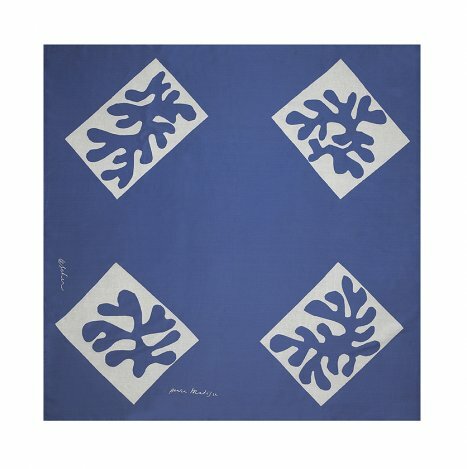 A Moroccan screen and table provided further influence to Matisse's paintings. 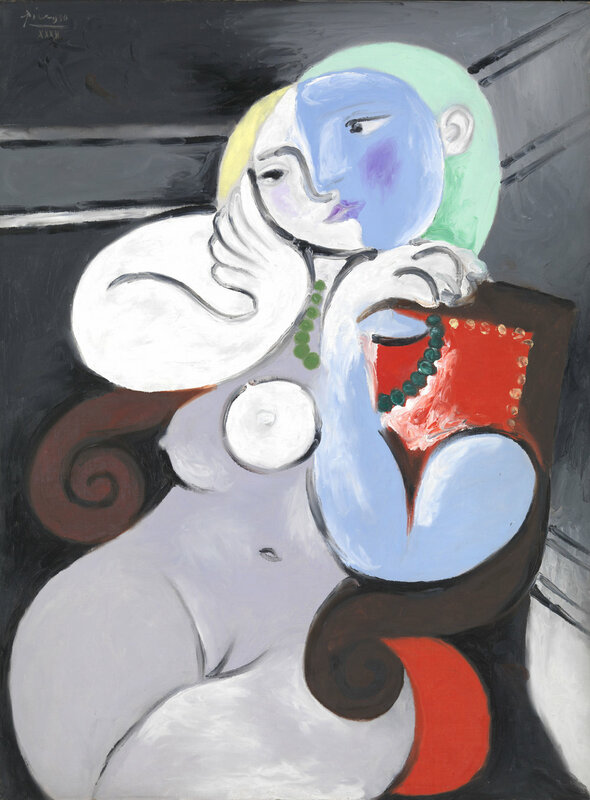 His collection of figures, including a second century Roman torso, would influence the simple flowing lines of many of his own paintings of the female form. While a lacquered Chinese calligraphy panel, which he hung above his bed became the inspiration for many of his cut-outs. We all know the familiarity of a cherished item, and seeing this very personal collection of ephemera brought home to us how the items we collect around us, although not transferred into brilliant artworks like Matisse, never the less, become the objects which define our life style. They can express our interests, personal history and are a potent marker our own individuality. "Colour is a visual experience, not a scientific one. When I look at designers and colour theorists work of the past, the most interesting ideas arose from questioning colour"
Colour is one of the most important aspects to consider when planning our living and working spaces. 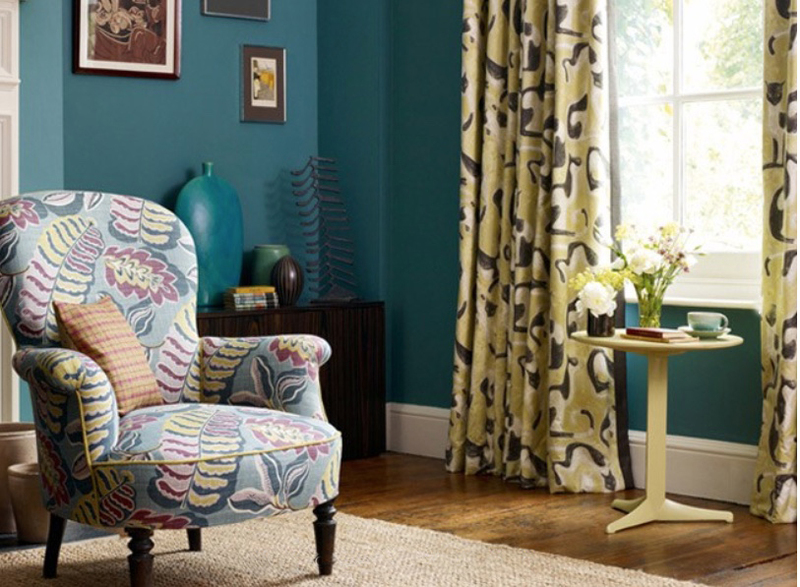 Whether we are considering wall and textile colours or individual items of furniture and accessories, colour plays a key role in determining the mood and atmosphere we wish to create. 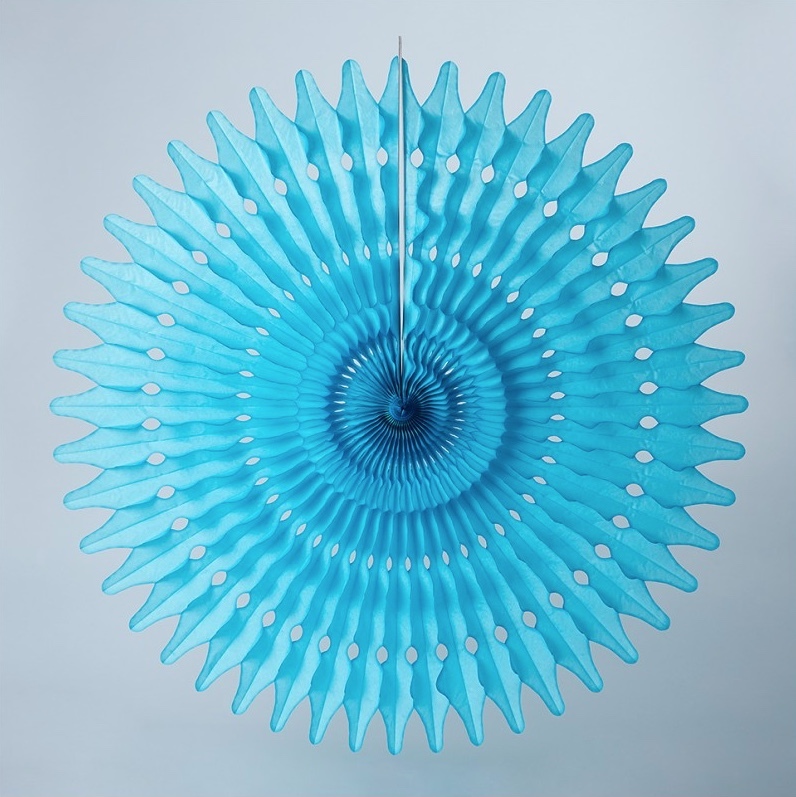 The Design Museum’s current exhibition, Breathing Colour by Hella Jongerius, is a joyful exploration of colour and how it enriches our lives and our environment. The way we perceive colour can change depending on the time of day and the light available, both natural and artificial. By dividing the exhibits into separate spaces that simulate Morning, Noon and Night, we can see how colours change, subtly throughout the day, emphasising the importance that colour and design share. 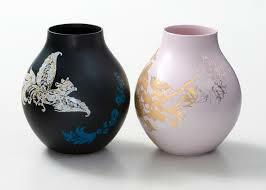 Hella Jongerius is an industrial Designer who fuses industrial production with craft, and traditional with contemporary. She pursues her passion for colour in her designs for companies as diverse as Vitra and IKEA and the current exhibition draws on her many years of research. A fascinating collection of faceted vessels called Colour Catchers demonstrate the way colour changes as light is refracted from the different surfaces and how a new colour is generated by shadows. 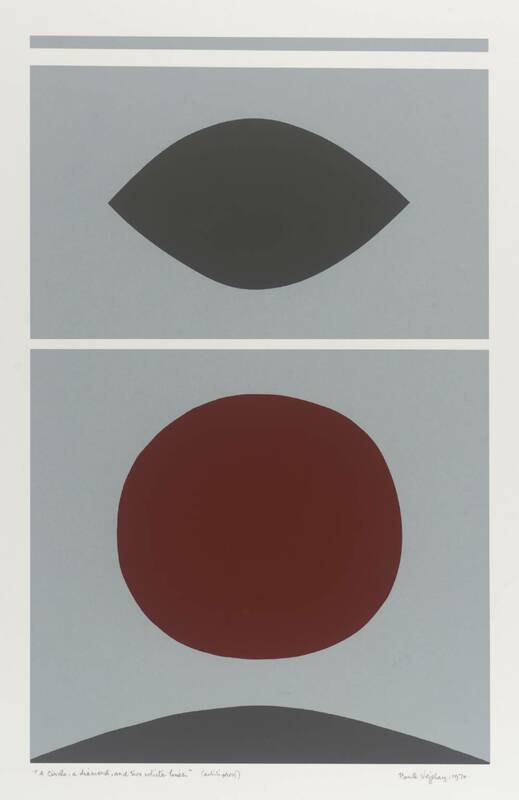 These Colour Catchers also serve to engage us in Jongerius’ investigation into how we perceive colour. 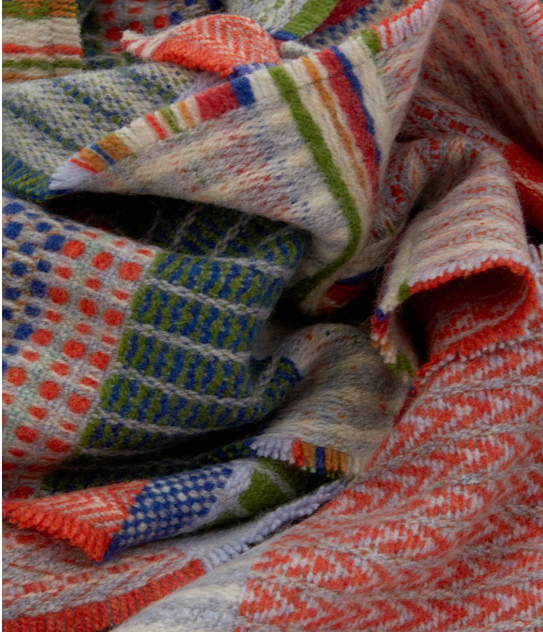 Not just confined to hard surfaces, Jongerius is also fascinated by the way woven textiles can create an optical blend and a number of her textile explorations are also on display. 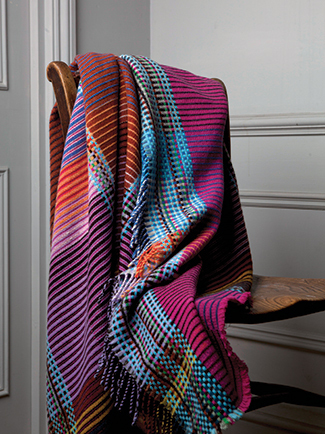 These act as an explanation of the intricacies of creating colour through the natural warp and weft of woven fabric, and also demonstrate her respect of the rich tradition and history of craft. "Cultural and historical awareness are woven into the DNA of any worthwhile product"
Hella Jongerius is convinced of the need to weave cultural awareness into her designs and recently worked alongside a theorist to create her manifesto Beyond The New as an exploration of her belief in combining traditional craft and manufacturing processes with contemporary design - read more here. "Colour, and objects are influenced by the surrounding colour landscape"
As part of our own design ethos at Devas Designs we always start with a mood board which primarily focuses on colour schemes, then furnishings, working closely with the client to assess their requirements, and blending the old with the new. 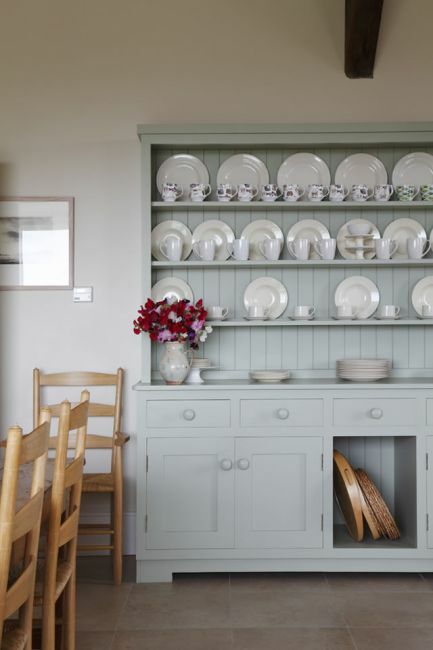 This palette of soft hues of green, blues and greys reflects the seascape in this holiday home off the west coast of Ireland. 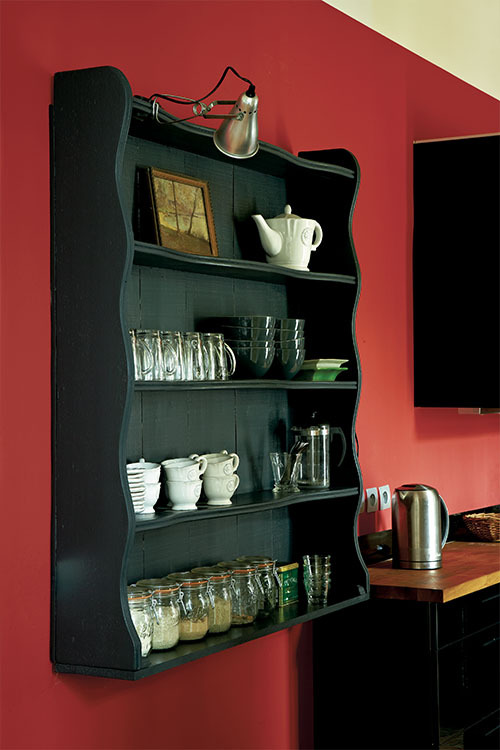 Bursts of terracotta and red provide interest to an otherwise calm colour scheme. An approach to creating modern interiors which successfully combine classic pieces with a sense of legacy, together with contemporary pieces has become very much a part of our style. Sourcing antiques and works of art to enhance a contemporary lifestyle is one of the most exciting parts of Philippa's practice. 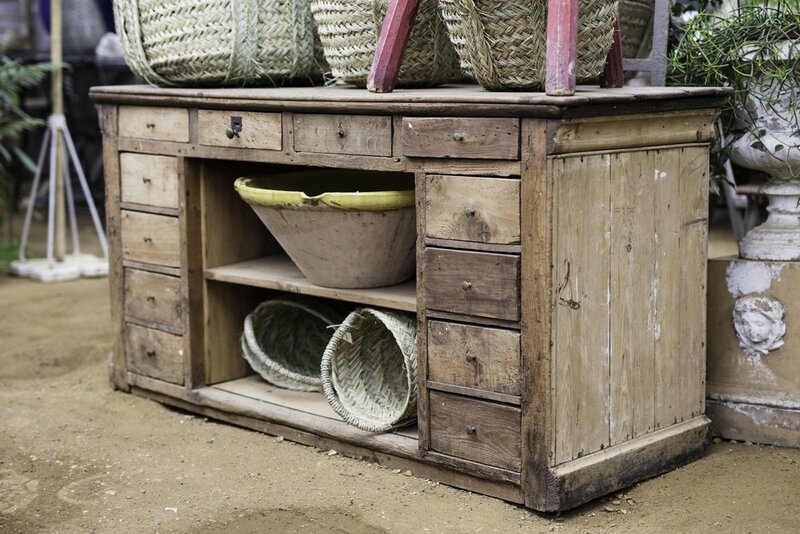 Often an item of antique furniture, or a standout antique object, will provide a starting point, and drawing on its colour scheme or material can inspire and inform the overall interior. 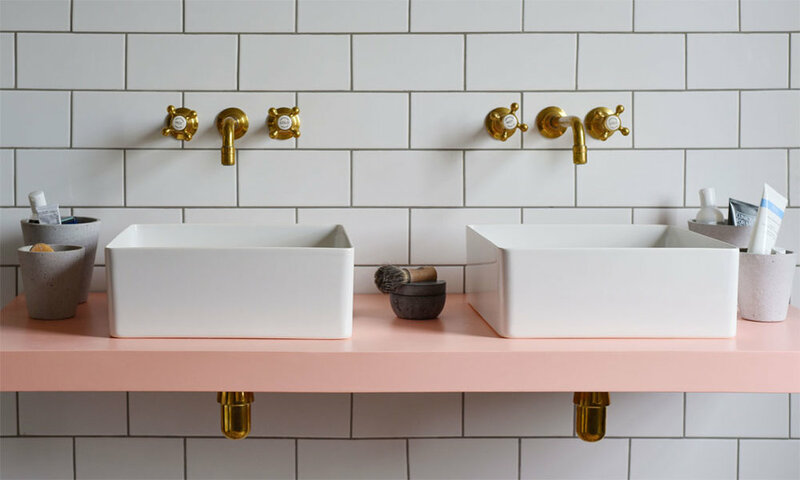 We love the idea that simply by changing one or two items or adding colour in the form of accessories, an accent wall, or a piece of furniture it’s possible to transform and refresh an interior. While you may not always be ready to change the design scheme completely, it can be easy to ring the changes and add a few pops of colour for a special occasion or a seasonal makeover. 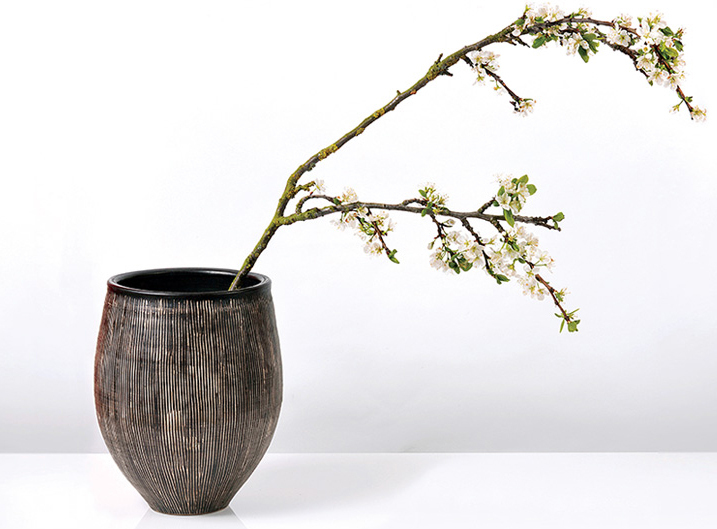 A stylish flower arrangement may be all you need to create a different mood. 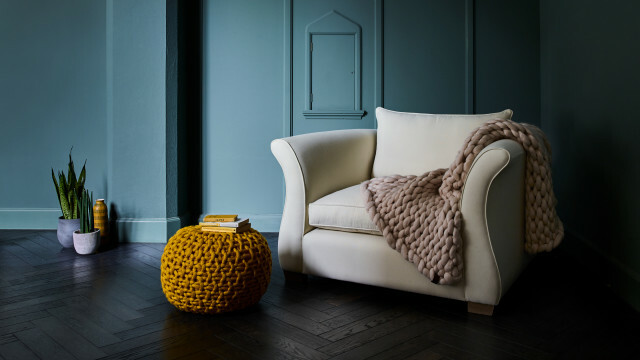 Colour doesn’t just mean bright; a calm palette of cream, whites and soft greys, is just as powerful an influence on our mood, and in setting the ambience of an interior. 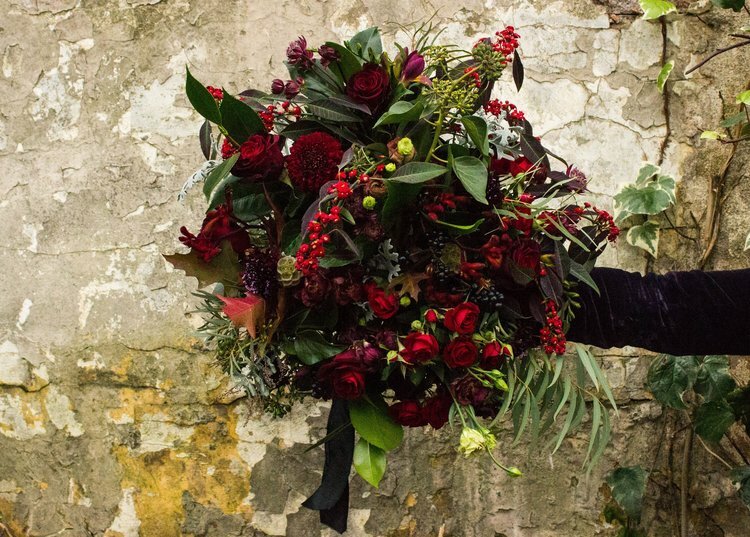 Rebel Rebel are a London based contemporary flower company creating bold bouquets and displays. 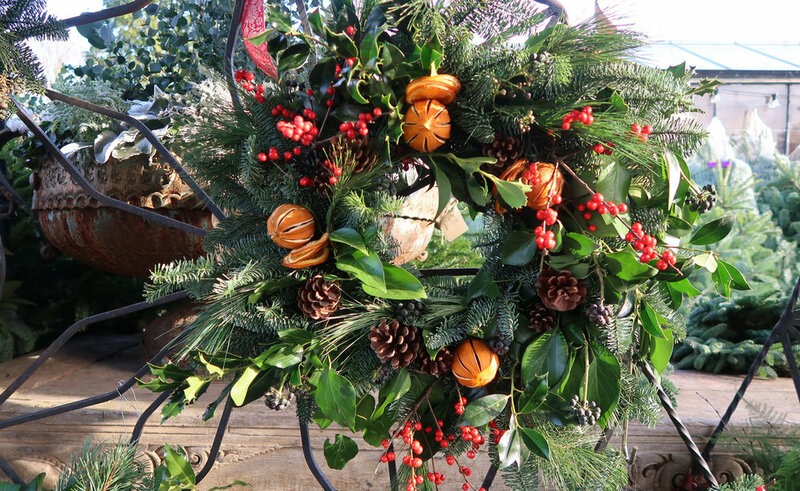 They also run flower arranging workshops - find out more here. Breathing Colour by Hella Jongerius is on now at the Design Museum London, until 24 September 2017. 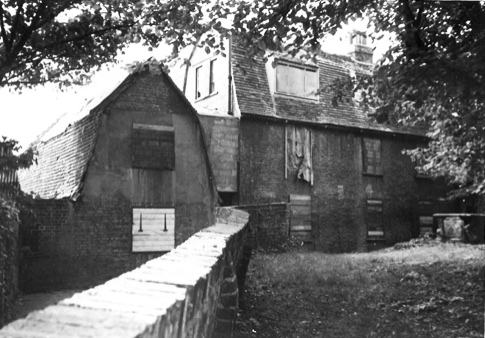 Arts and Crafts pioneer and designer William Morris built Red House in Bexleyheath in 1860. 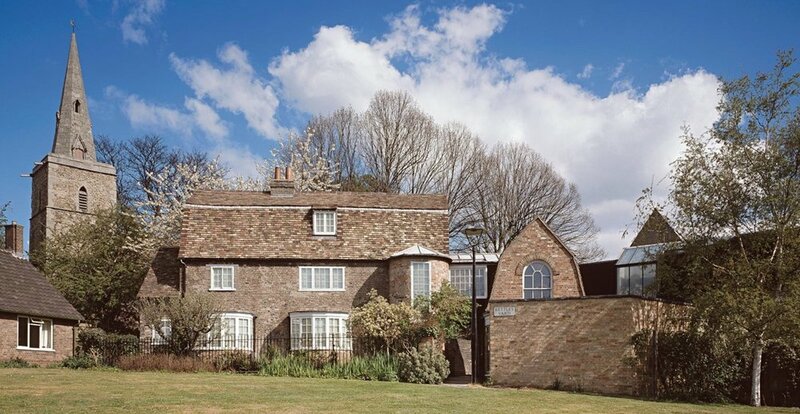 The house was co-designed with the architect Philip Webb as a weekend retreat for Morris and his wife Jane. In this idyllic setting he was regularly visited by a number of Pre-Raphaelite painters, including Rossetti and Edward Burne-Jones, who contributed to the decoration of the house. We went in search of the Red House and discovered a treasure of early Arts and Crafts and Pre-Raphaelite influences including beautiful stained glass windows, murals, tapestries, painted furniture, and a lovely garden and tea room. Working together with Ford Maddox Brown and the Pre-Raphaelite painters on the decoration of Red House, but finding it difficult to find hand-crafted items which satisfied his aesthetic, Morris was inspired to co-found his first decorative arts practice. Their utopian ethos included a desire to return to reinstating decoration as a fine art, and rejected the rising mechanisation of the Victorian era. Adopting hand-craftsmanship and returning to the appreciation of artisan production would become the foundations of The Arts and Crafts Movement. We have always loved Millais’ painting of Ophelia and been fascinated by the story of the model Elizabeth Siddal. She was a very unusual choice of model, and like the Pre-Raphaelite painters she was quite unconventional for her time. Having fallen in love with Rossetti, she became a regular visitor to William Morris’ Red House. Recent renovations of William and Jane Morris’ bedroom have uncovered a mural with self portraits painted by Rosetti and Elizabeth Siddal. It seems Elizabeth was not just the pretty face we see in so many Pre-Raphaelite paintings but also a talented, if unsung, artist in her own right. This hallway in Red House, called Pilgrim’s Rest, incorporates a blue-painted and mural decorated settle, in classic Morris’ colours, with a Persian rug. Although he insisted on British design as his main inspiration, Morris also incorporated Persian rugs and Delft inspired tiles, alongside embroidered wall hangings and weavings created both by him and his wife Jane. In this conversion of a Mayfair Town House into a comfortable office, Devas Design used similar colours for the walls and Oriental rugs to create an interior which both reflects the building original use as a home and to create a relaxed sanctuary from the pressures of the working day. In this Belgravia Town House, Devas Designs created a reading room and library and an elegant dining room inspired by the gothic fireplace and wall hanging, all of which reflect Morris’ love of traditional colours to create a calm palette. Throughout June, Red House is hosting ‘Roses at Red House’ celebrating William Morris’ love of English gardens. The roses, honey suckle, jasmine of the Red House gardens together with an appreciation of the natural world were an inspiration for Morris’ hand blocked wallpaper designs. 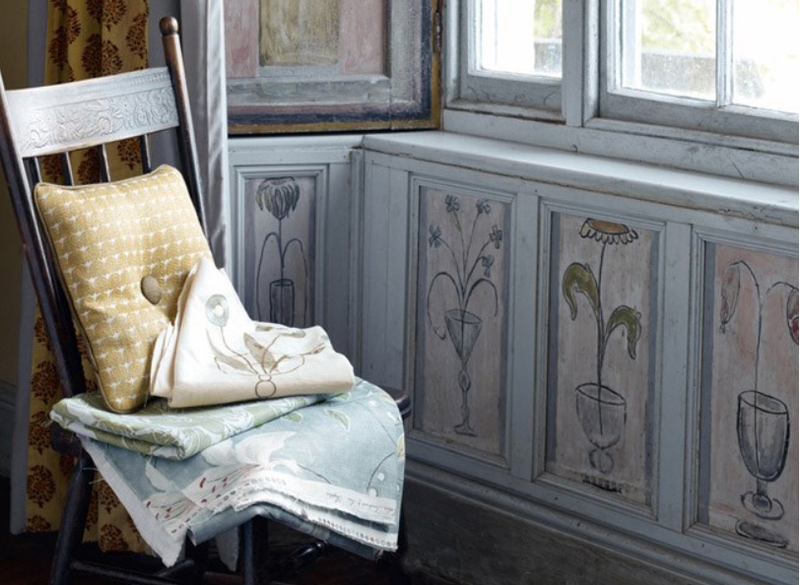 Click here to take a look at Morris & Co. for original wallpaper designs and fabrics. May is a wonderful time of year to visit Amsterdam. Even if you don’t venture out into the tulip fields you won’t miss the flowers as the city of Amsterdam is ablaze with tulips. A visit to the Amsterdam Flower Market is uplifting, situated on the banks of the Amstel, with its cafes, shops and delightful gabled Dutch houses. A well as the colourful displays of flowers the classic colours of the Dutch buildings are inspiring. Papers and Paints in London’s Park Walk have an incredible range of traditional paint colours and will also mix and match tailor-made colours using a unique method called spectrophotometry to ensure complete accuracy and since 1995 have developed unrivalled expertise in this work. 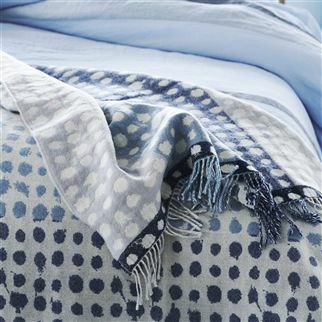 You can take a sample as small as a flake of paint or a small swatch of fabric and they will colour match for you. We couldn’t agree more when they say that colour is one of the most important choices we can make. 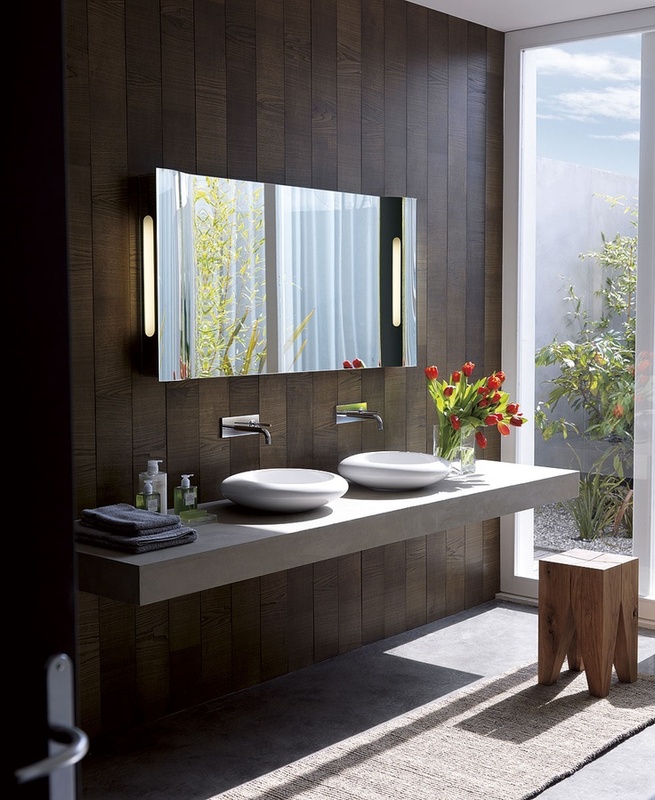 The Modern Dutch style shares many of the aesthetics of Scandinavian Style in terms of utilising natural light sources, an effective use of wood and a palette of gentle hues. 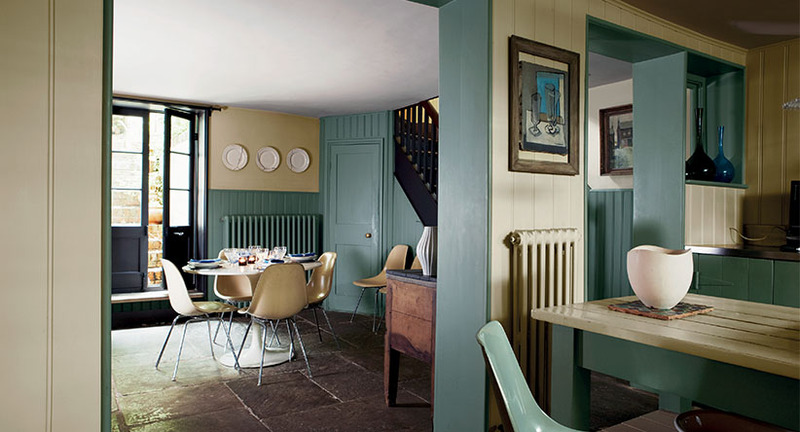 Soft blues and greys against pale walls, sometimes with a signature wallpaper or colour, and an emphasis on the family dining table at the heart of the home all add to a harmonious living environment. 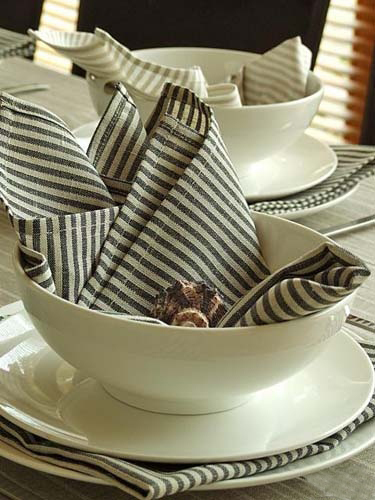 The interior details and table linen below are from Designers Guild while the table setting and crockery are from John Lewis. One of our favourite hotels to stay in Amsterdam is Hotel De L’Europe in the heart of the city overlooking the beautiful Amstel and a stone’s throw from the Rijksmuseum. 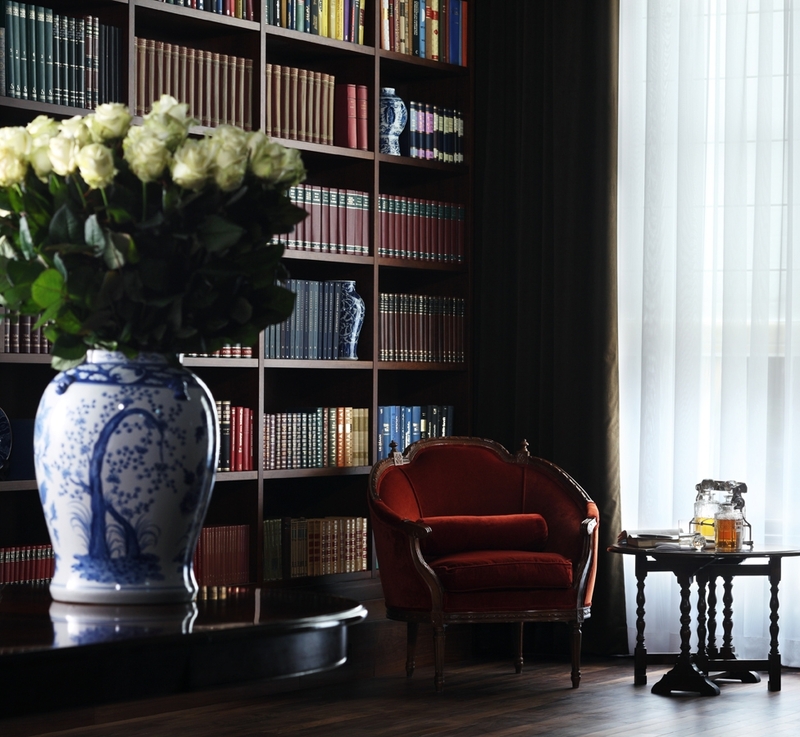 The hotel exudes an air of sophistication and interestingly has used oversized images of Dutch Masters on the walls. 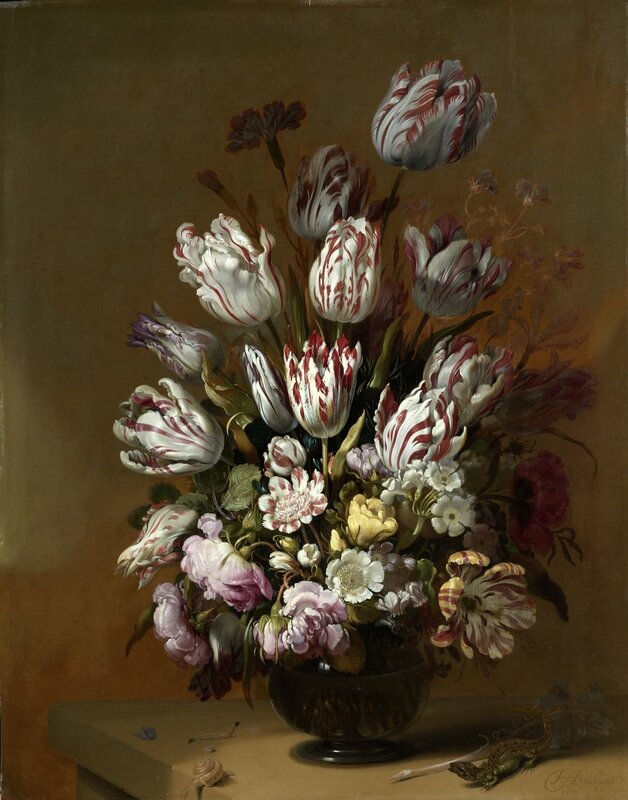 These have been recreated from the collection of the Rijksmuseum. 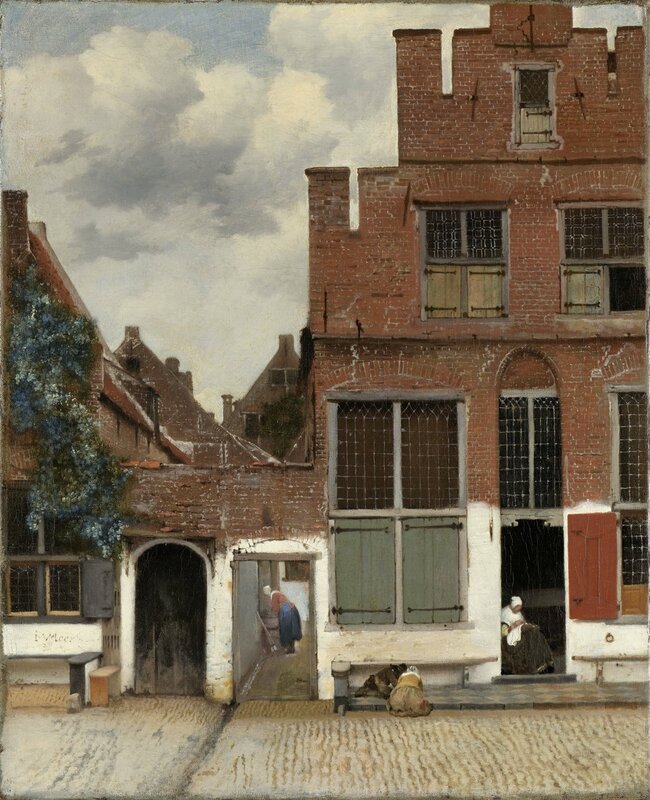 Europeana Collections has, alongside other organisations and initiatives, worked with The Rijksmuseum since 2011 to make their public domain collection available online without restrictions. This has resulted in over 150,000 high resolution images for anyone to view, download, copy, remix, print and use for any purpose. The occasional signature of traditional Dutch tiles and Delftware are used in a very understated way at Hotel De L’Europe but are cleverly combined with contemporary elements. We also love to add accessories and textiles to ring the changes. 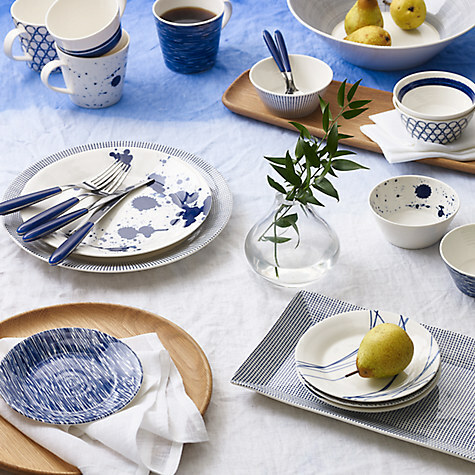 Take a look at our Delft inspired mood board for a contemporary Dutch look - which includes accessories from Designers Guild. 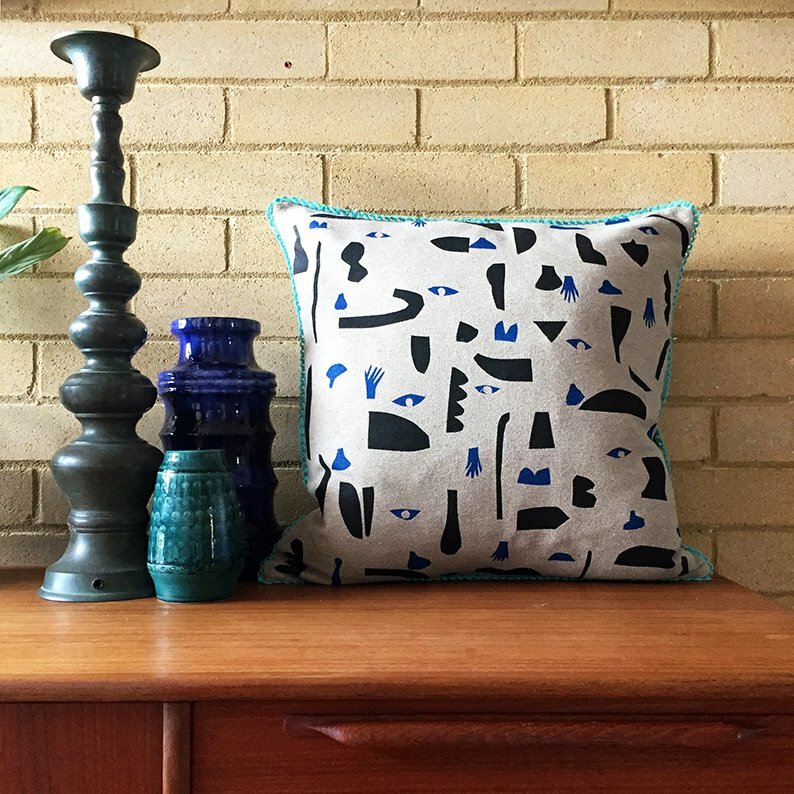 Their Delft Polonaise cushion and Murrine Delft fabric echo the blues of traditional Delft tiles.